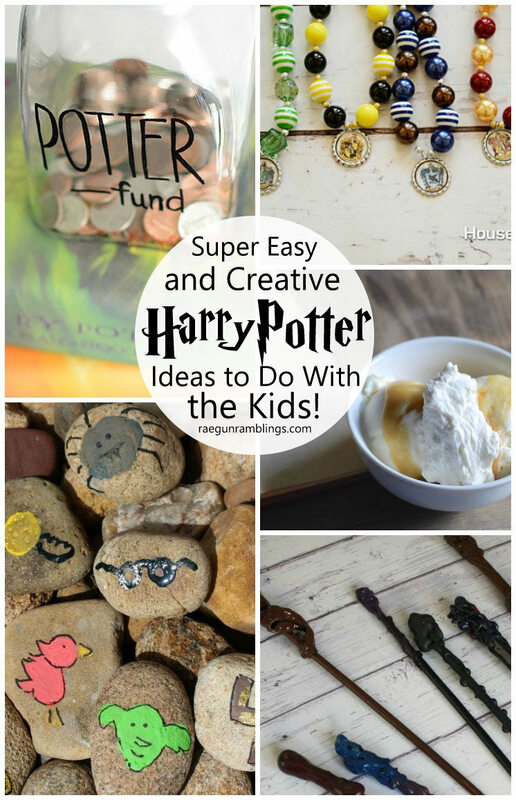 Looking for some great Harry Potter Kid Activities? 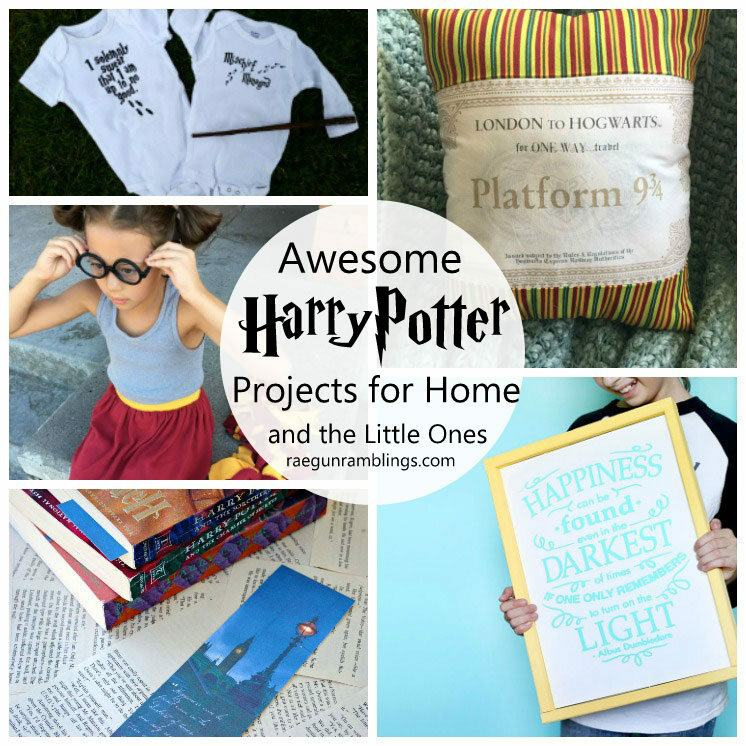 Day 2 of Happy Harry Potter is filled with treats and project perfect for busying and entertaining the little ones! 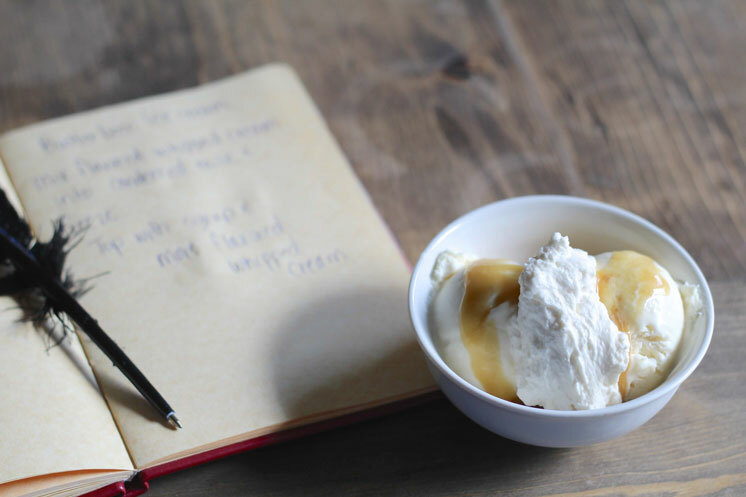 How delicious does this Butterbeer Ice Cream from Everyday Party Magazine look!? 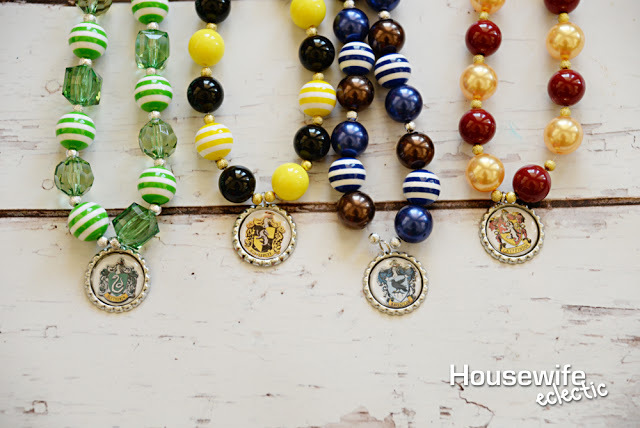 My nieces are going to explode when I show them these adorable Hogwart’s House Necklaces that Debra from Housewife Eclectic made. Aren’t they the cutest?! 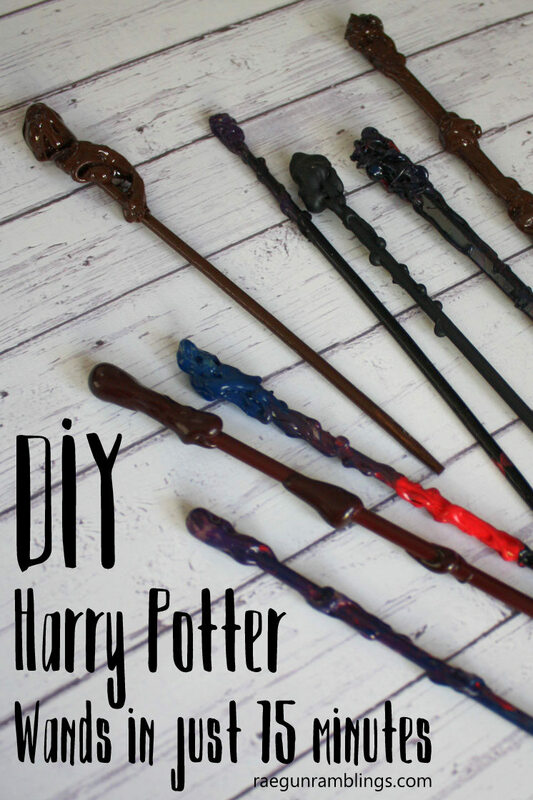 Just in case you missed my post yesterday I shared how to make super easy DIY Harry Potter Wands. 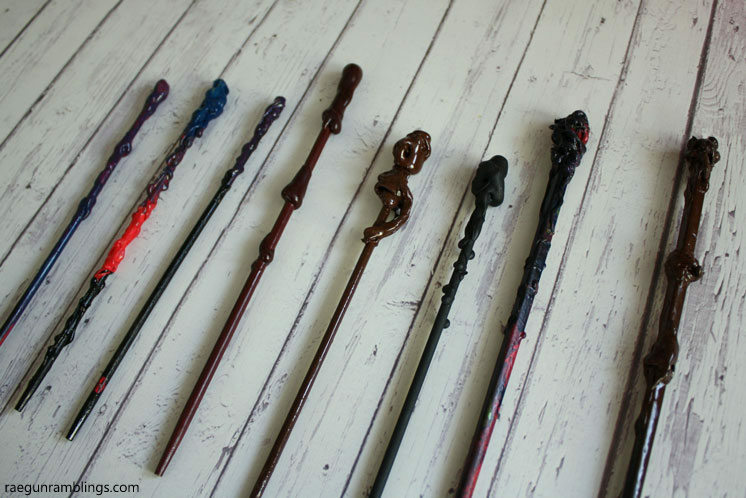 An if you want some extra fun and to see me TOTALLY geek out then you should check out my facebook video where I showed how to make pencil wands live! 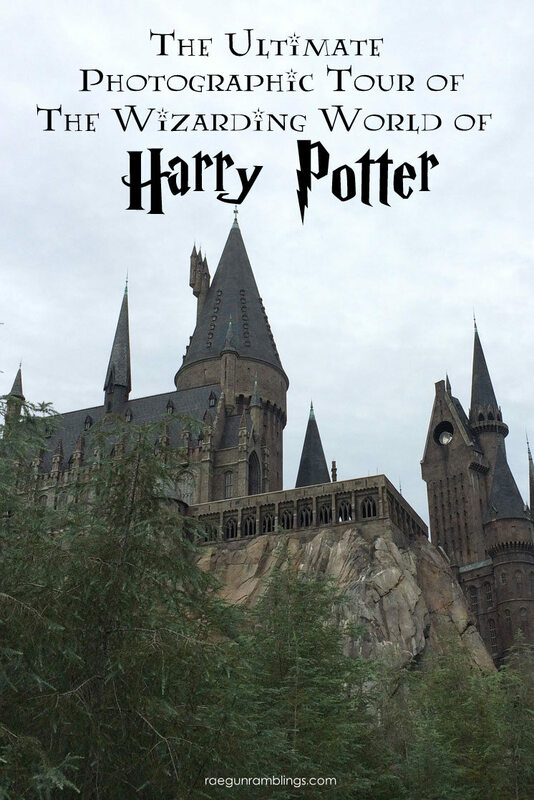 Just like Candice from She’s Crafty Crafty I dream of going back to the Wizarding World of Harry Potter…like every day! 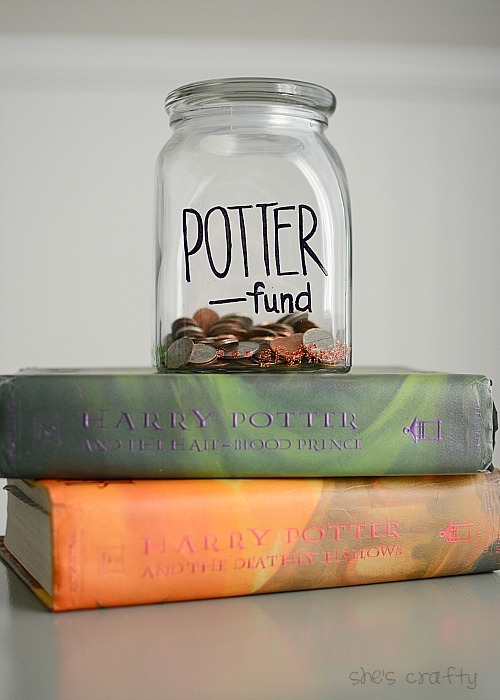 I LOVE that she made a Potter Fund Jar a perfect way to get the whole family involved in saving for the trip. 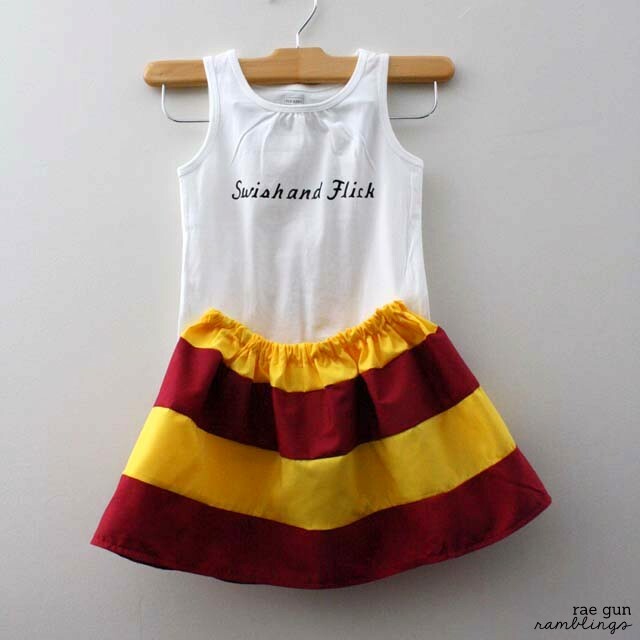 I seriously need one. It was one of the best trips EVER. 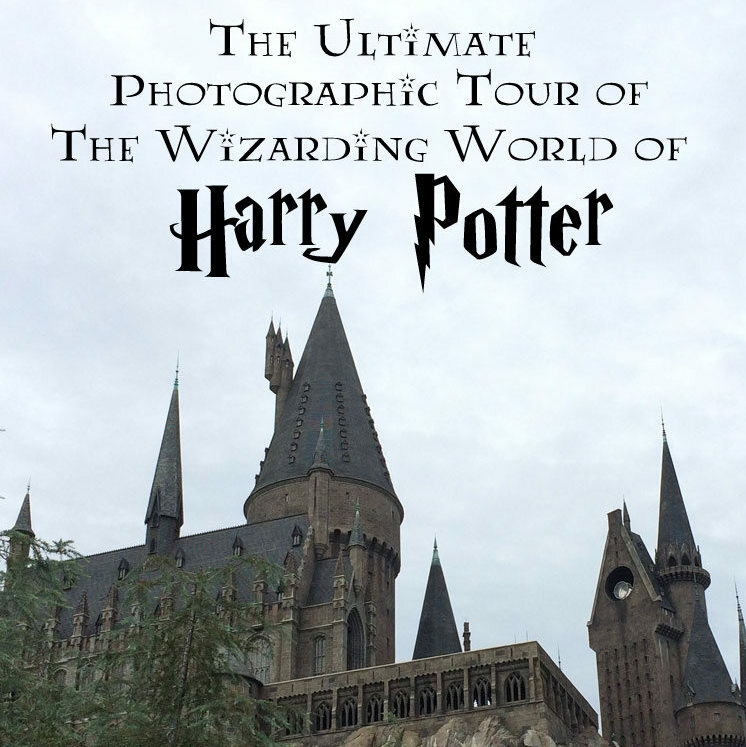 If you’ve never been check out my super picture filled photo tour I did last year! 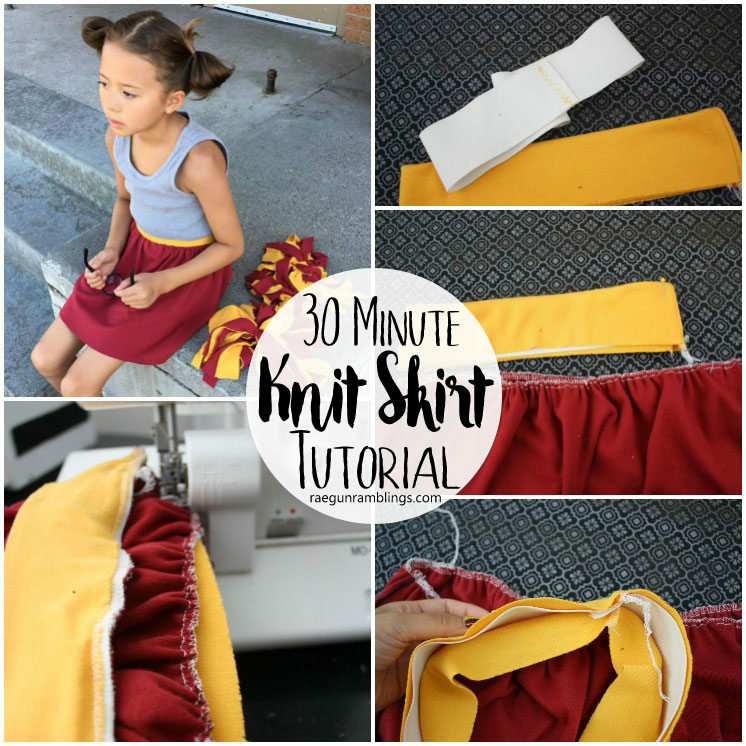 The last one for today is an adorable idea to do with the kids. 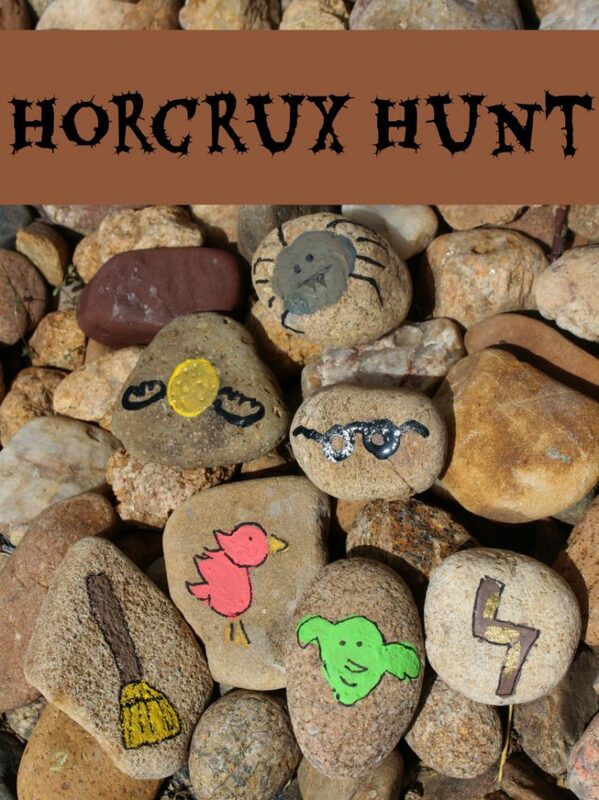 It’s a Horcrux Hunt Game. So you know when you need to take a break from Pokemon Go we’ve got you covered ;) But really I love Housewive Hellraiser‘s fun idea I’m excited to get the kids on it this weekend! 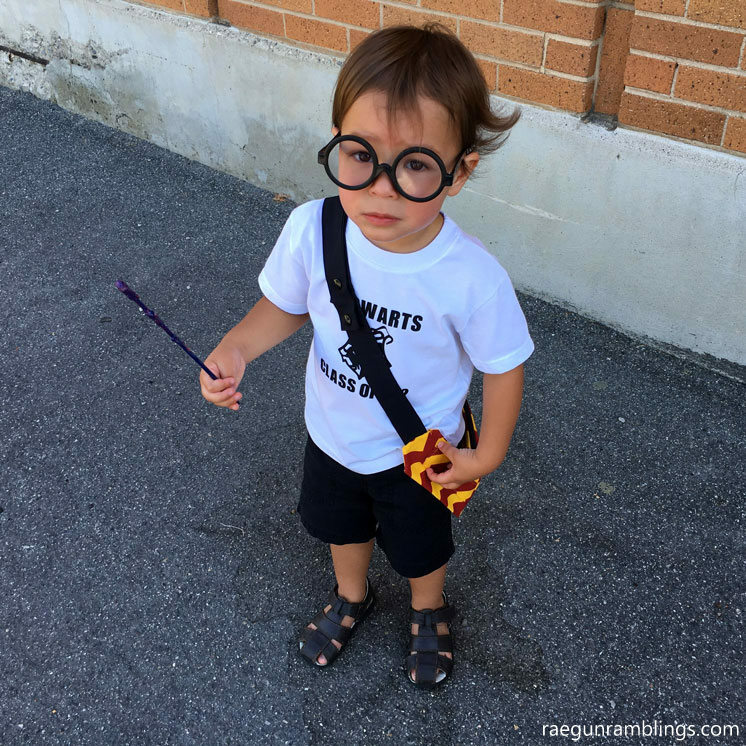 Were you able to the kick off to Happy Harry Potter yesterday? Sheesh you guys the projects are already crazy amazing. 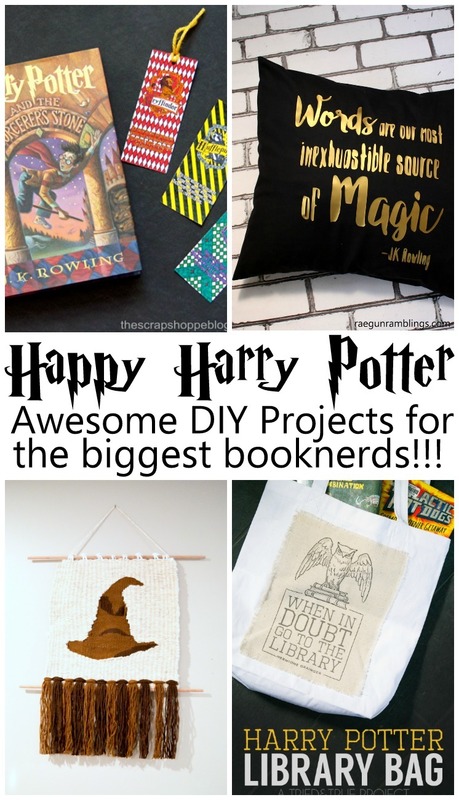 This year we have so many talented creators I’m been on the moon seeing the Harry Potter crafts and recipes and party ideas revealed. And here is just what we have from DAY 1. Don’t forget about the photo challenge on instagram as well as the giant giveaways. There are ways to enter every day if you want and you can do that at the bottom of this page! 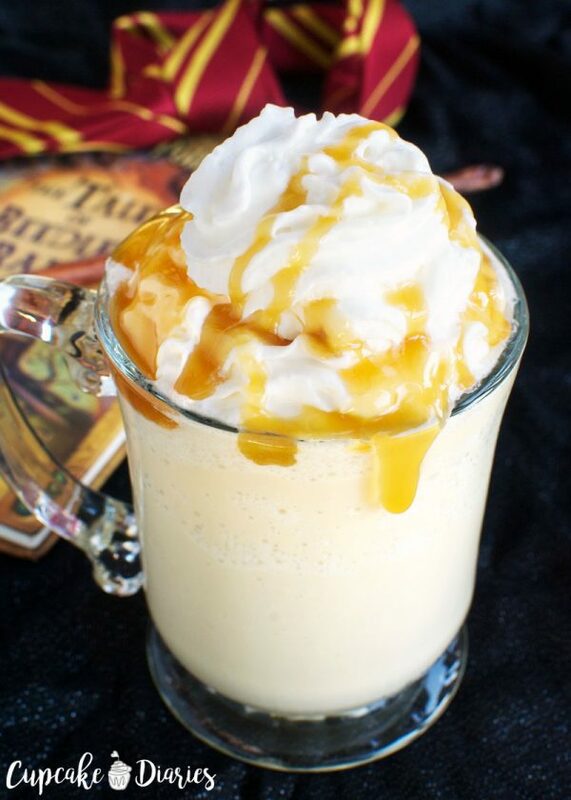 First up is Ali from Cupcake Diaries she whipped up a delectable and easy Butterbeer Freeze recipe. Oh man I need one right now! It Happens in a Blink made a super darling It Happens in a Blink. 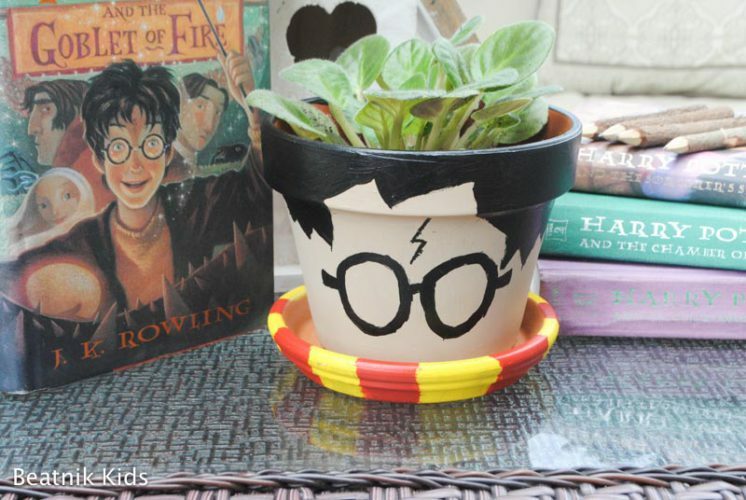 Harry Potter Flower Pot by the awesome Stacey from Harry Potter Flower Pot I mean if I didn’t totally kill plants crazy fast I’d need this. Well who am I kidding I need it any ways, maybe I can fill it with some fake flowers. Don’t even say succulents though because I’ve tried and still I have killed them! But back to the pot isn’t it the cutest!? And if you haven’t heard it’s election session and it looks like there are a few new candidates emerging on the scene (I wish). 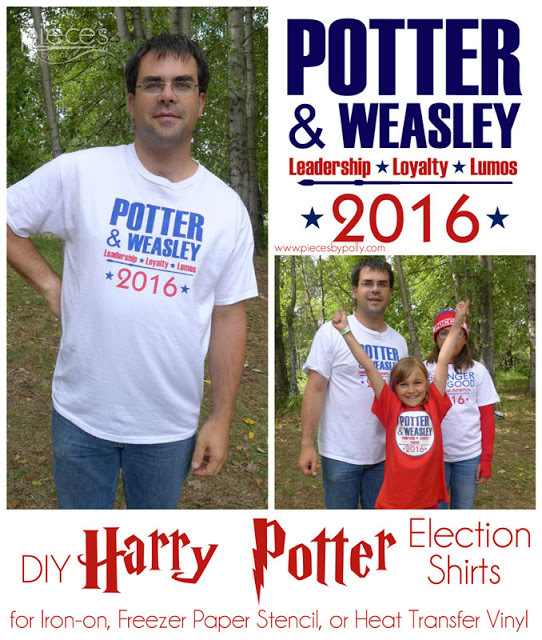 But really how stinking cute are these Harry Potter Election Shirts that Polly from Pieces by Polly made. 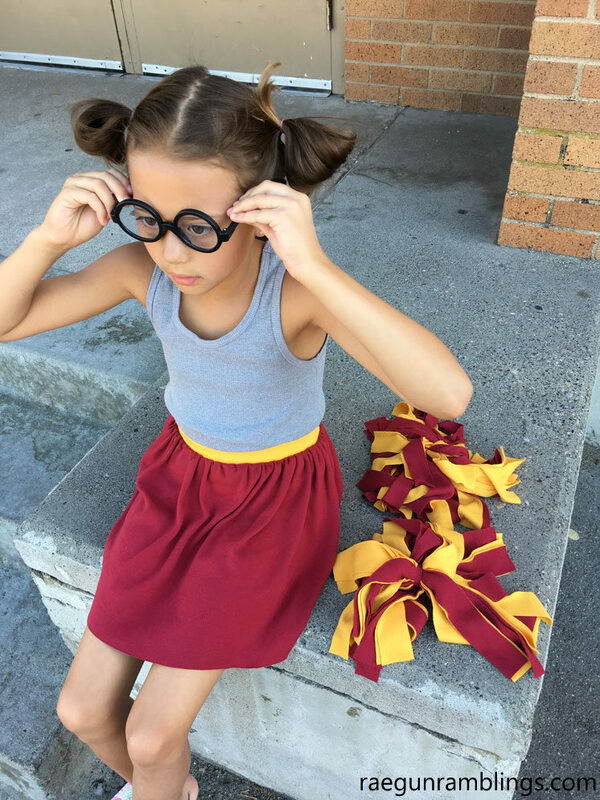 Make sure you check out her free templates and tutorial! And don’t forget about the giveaways! It is here! 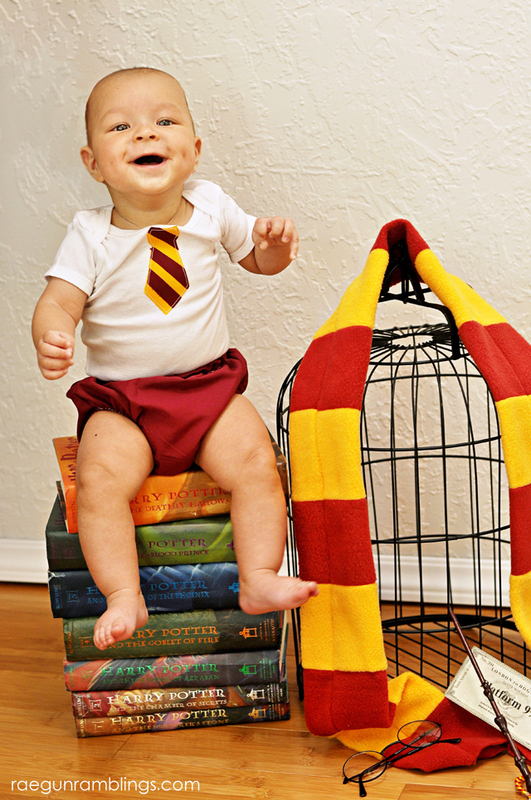 The time we look forward to all year long, Happy Harry Potter time! 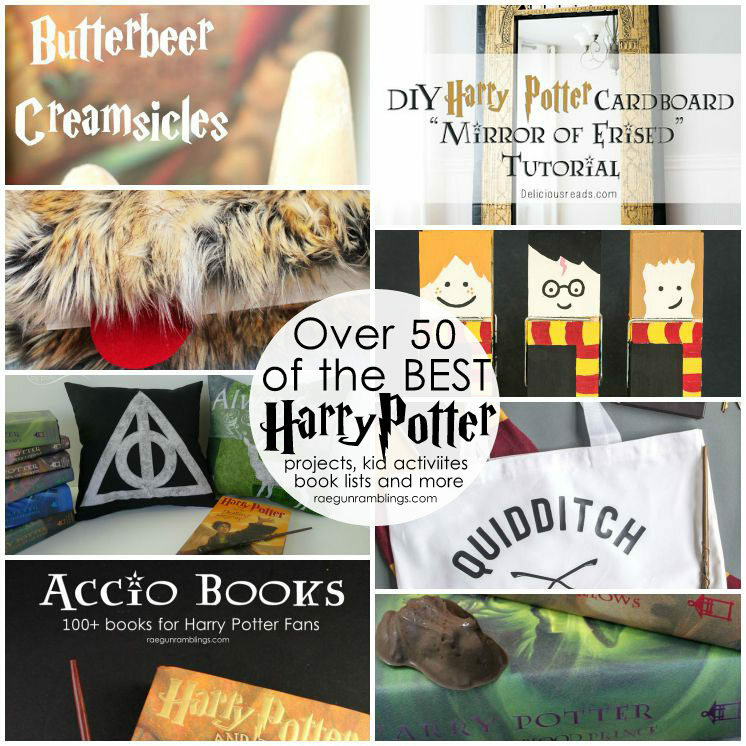 That’s right it’s time for my annual Harry Potter series where over 50 awesome bloggers join me in bring the best Harry Potter crafts, tutorials, recipes, book lists, giveaways and more. 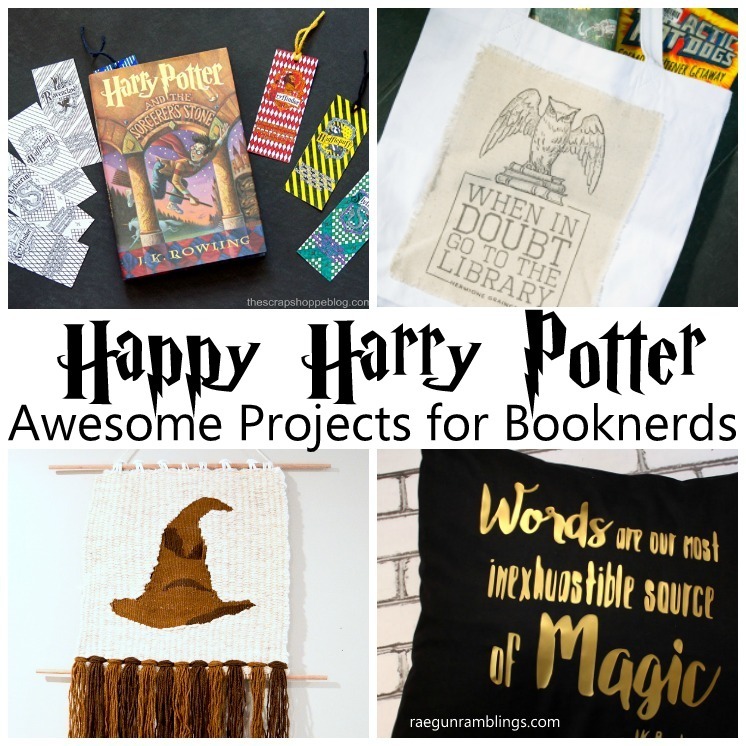 This year’s series will run until August 1st and every day from now until them we’ll have a bunch of bloggers sharing awesome Harry Potter inspired creations. 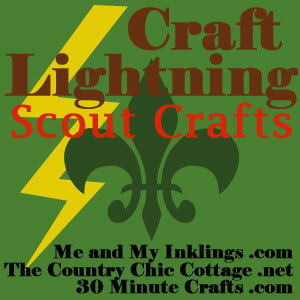 Every afternoon starting tomorrow I will do a round up of the posts from the day before. 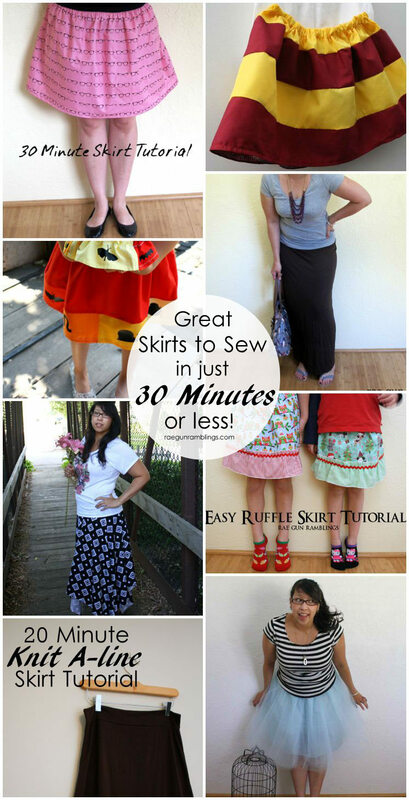 And every day you’ll have more chances to enter the fabulous giveaways! Scroll all the way down to enter the giveaways. 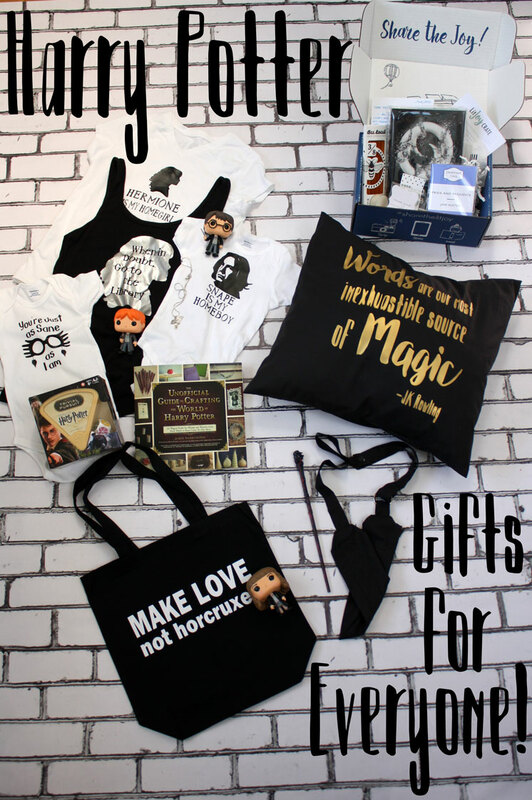 Every year I round up a collection of fabulous Harry Potter goodies that I would love myself and that would make the best gifts for any Potterhead and I throw them into a giveaway. This year I’m doing TWO prize packs. And if you follow me on Instagram you might find that I might actual do more than two, wink wink. 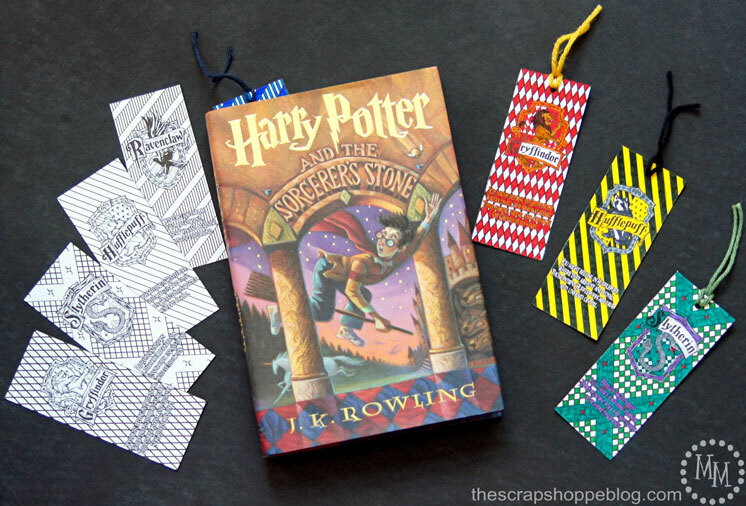 But let’s kick off the series by showing the fun Potter finds that I have for you this year! 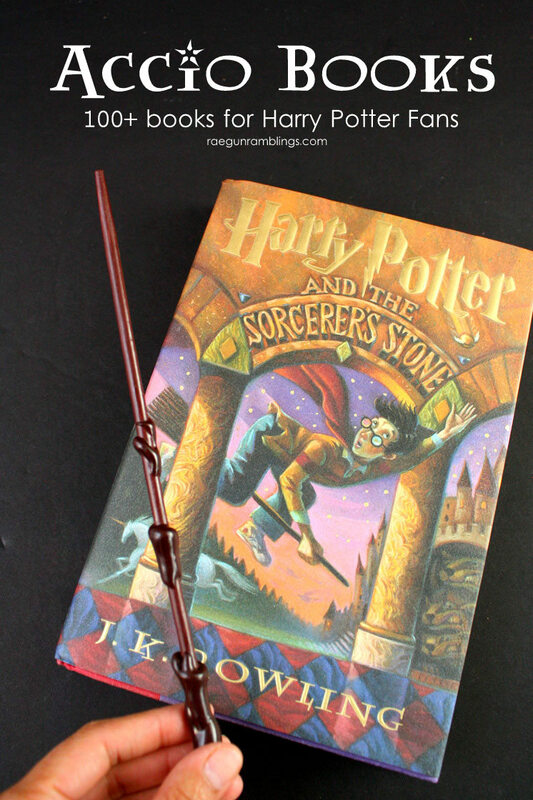 Every Potter fan should have his or her very own wand and what better way to carry it around than with a wand holster. 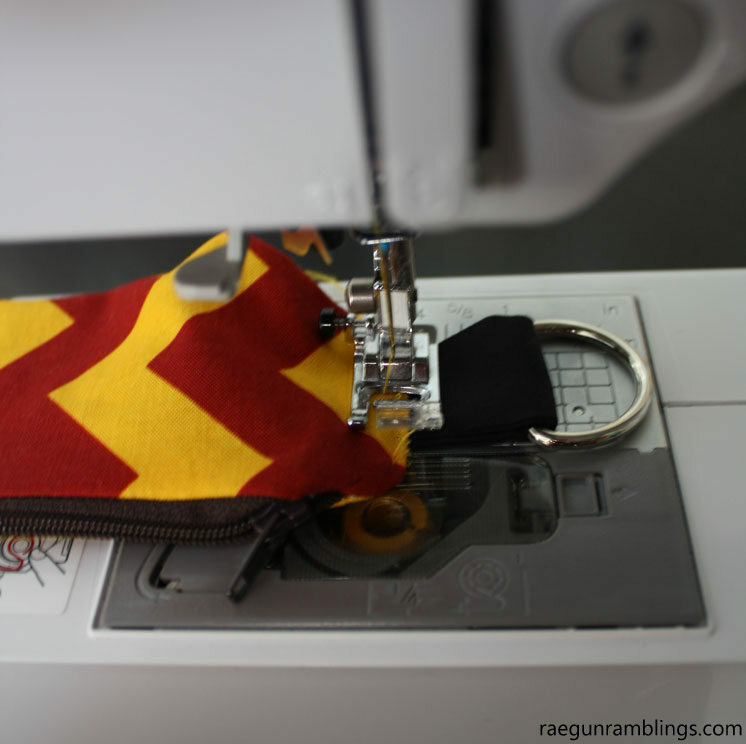 These holsters from Rae Gun Shop are light weight and have a zipper compartment perfect for toting around a few cards, some chap stick and even a couple galleons. 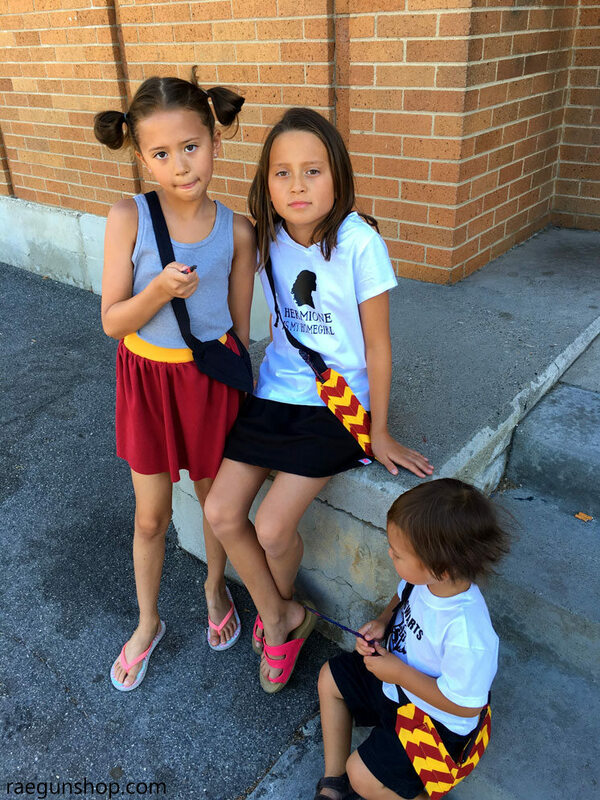 Choose from toddler, child, and teen/adult sizes. 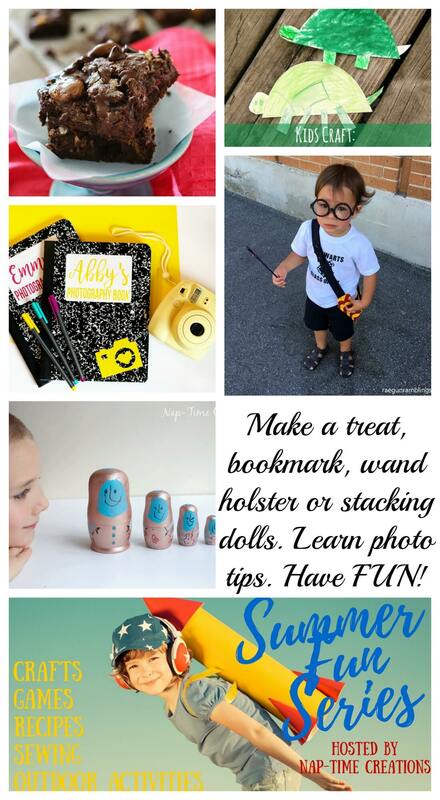 Each prize pack contains one wand holster and wand set! 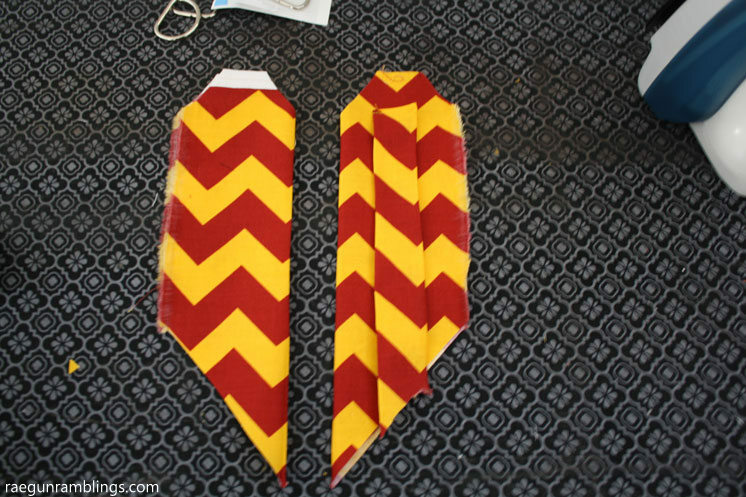 One in classic black and the other in Gryffindor colors. 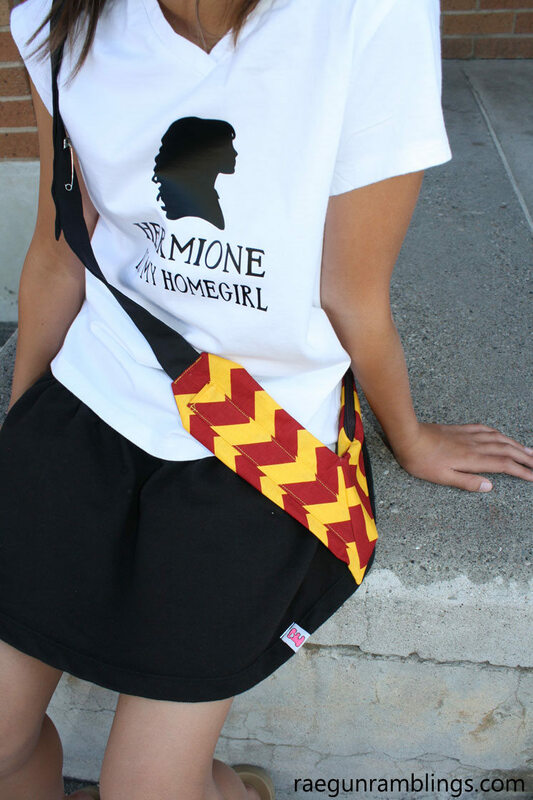 I wish I had one of these when I went to the Wizarding World of Harry Potter last year! 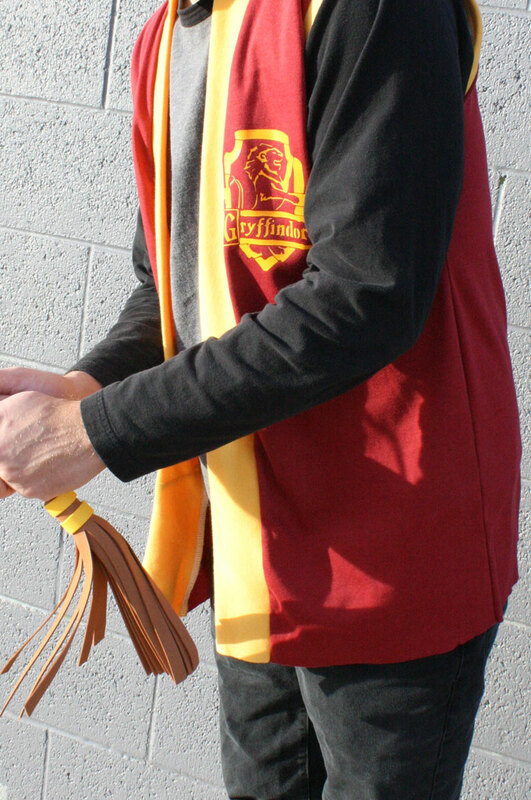 Once you have your wand you’ll be needing that iconic Hogwarts House Scarf. 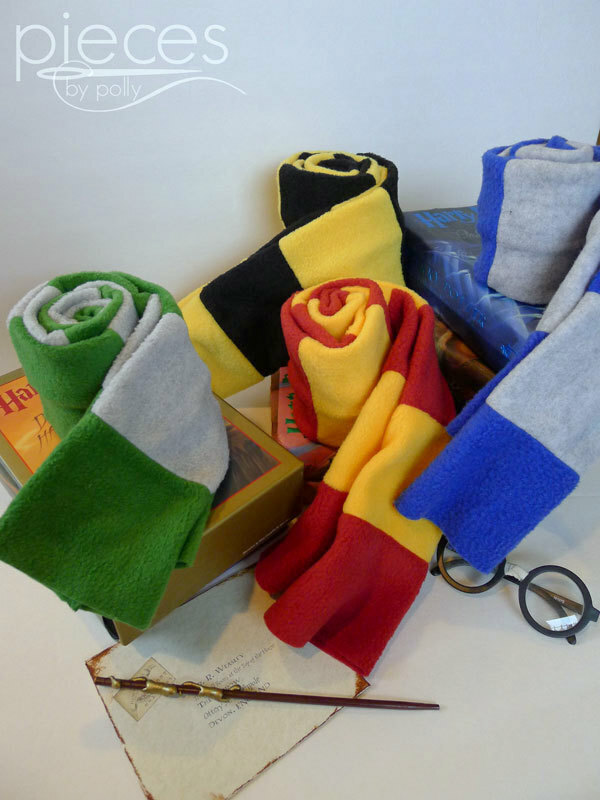 Pick from Gryffindor, Ravenclaw, Slytherin, or Hufflepuff colors with an awesome (and might I add cozy, I have my own) scarf from Pieces by Polly. 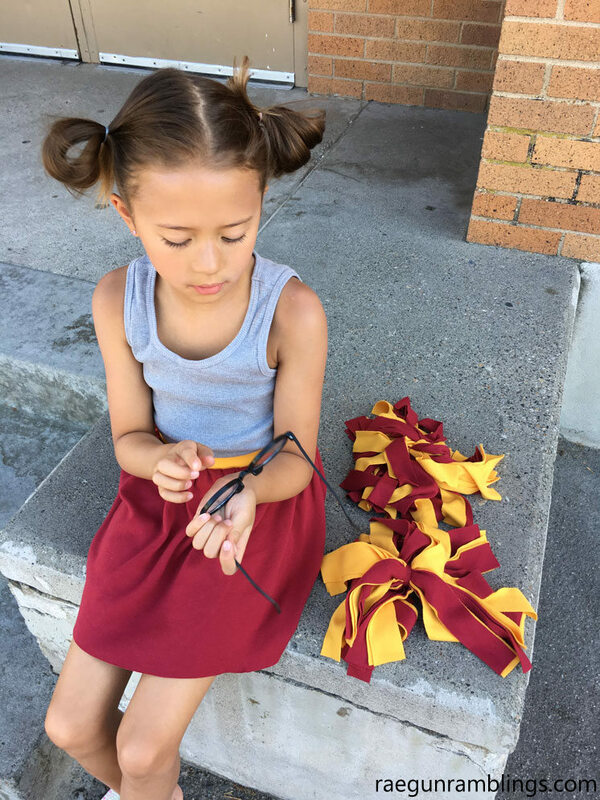 And if you are into American Girl Dolls (or other 18 inch dolls) you should totally check out the matching scarf set and full Hogwarts robes for your doll! 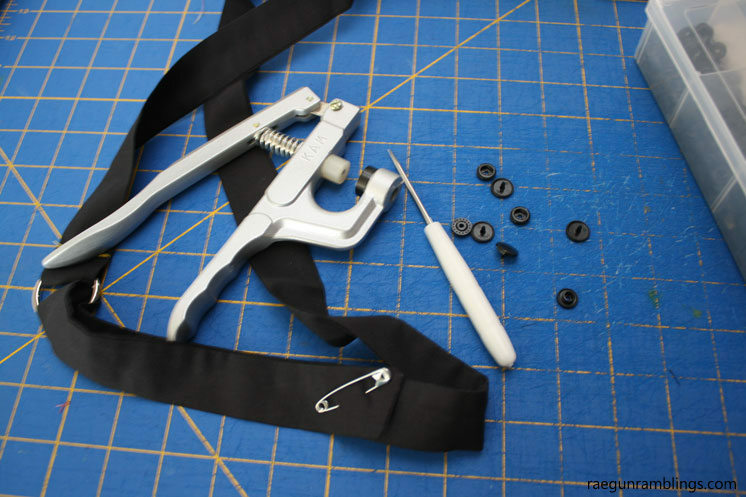 We don’t want to be the only ones crafting. 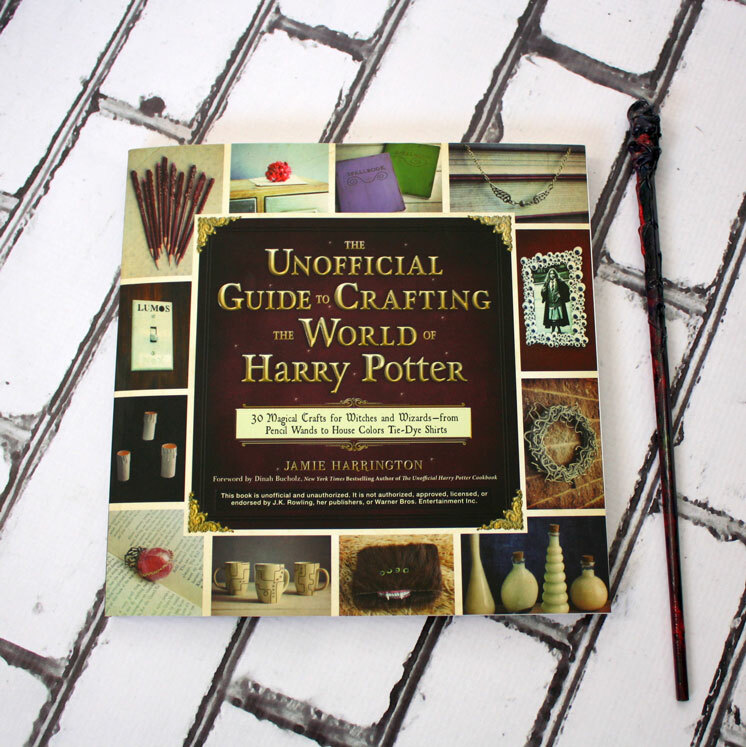 You should totally join in on the fun and this awesome book,The Unofficial Guide to Crafting the World of Harry Potter by Jamie Harrington has 30 simple and easy crafts that you can do with the kiddos to join in on wizarding fun! 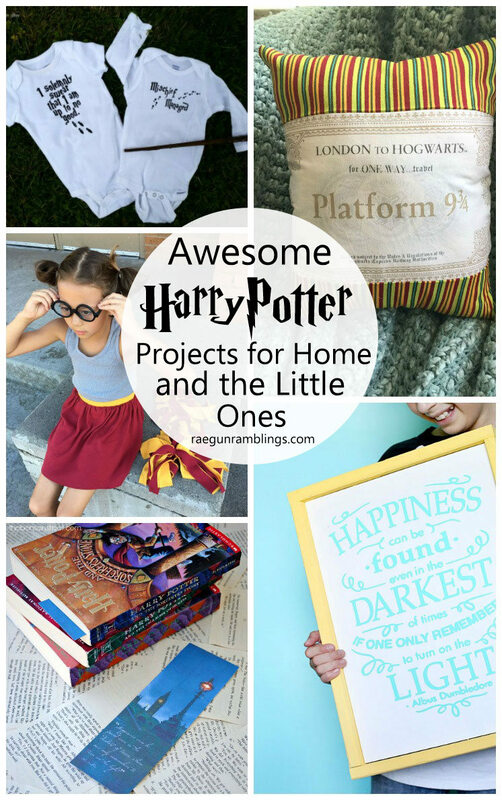 The book is so cute and I love that most of the projects are really quick and easy and perfect for school age children to do or even younger kids with some help. 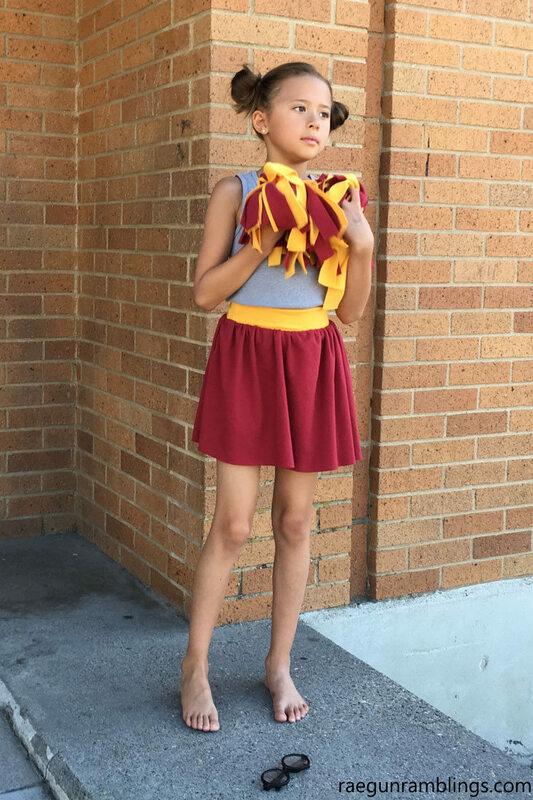 Learn more about Jamie on Instagram and Snapchat: @alsoknownasmom . 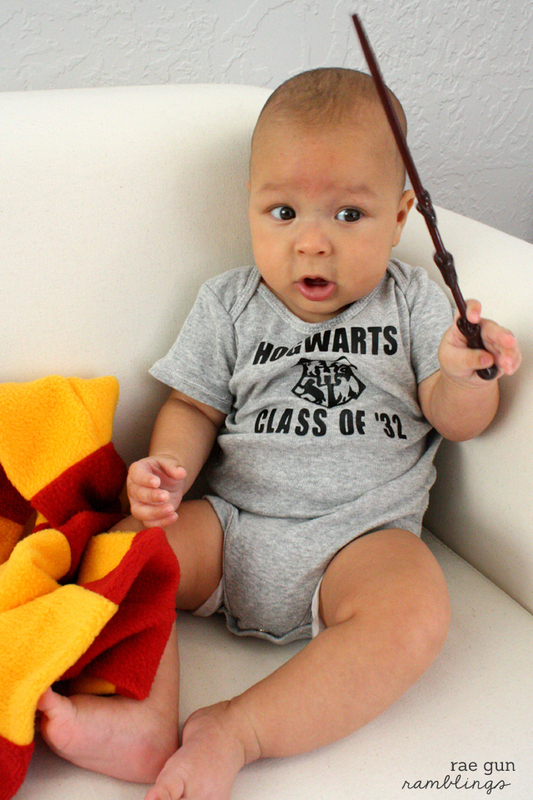 Whether you’ve got a little wizard or witch at home with eyes set on attending Hogwarts like mom and dad or you just want to celebrate your alma mater, these Hogwarts Graduation year shirts are the best. 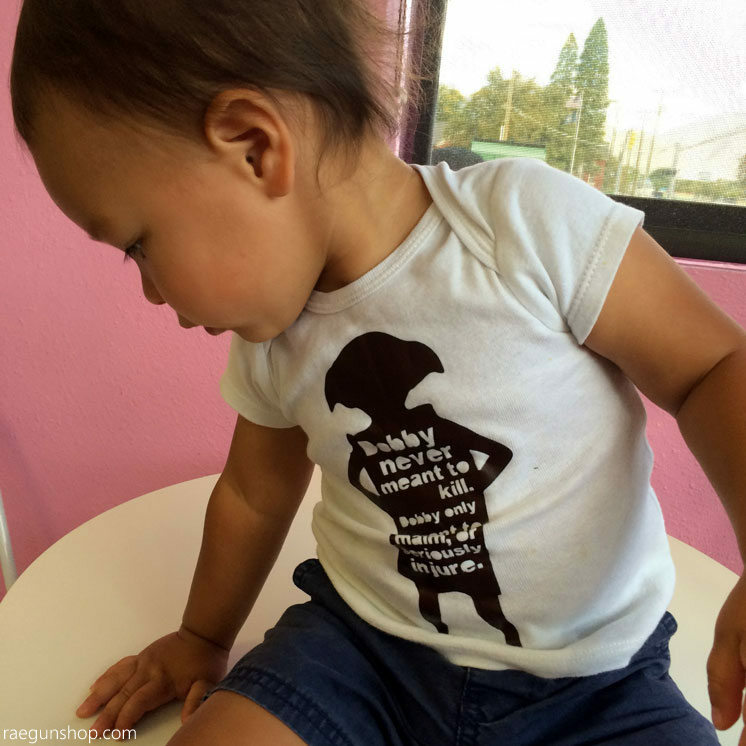 They come in ones for the babies or tees for the kids (pictured in the giveaway photos) and adults and you get to request your year. 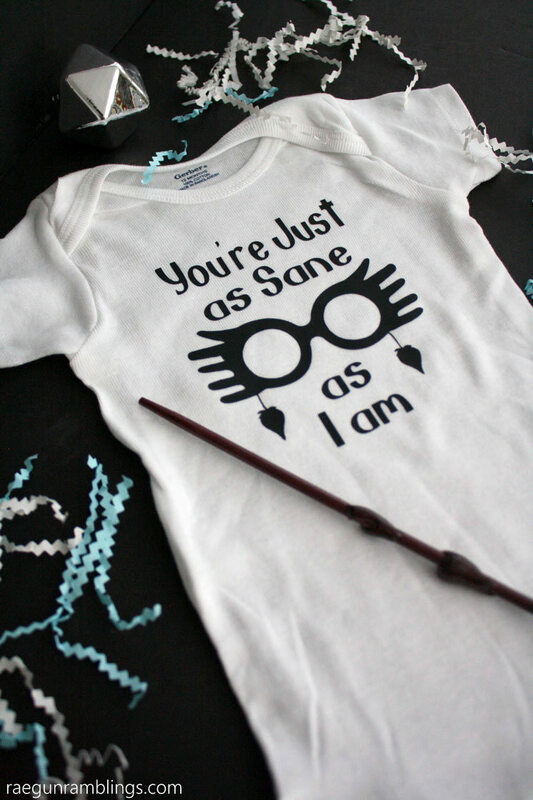 I have some some darling birth announcements done with the baby onesies but I honestly wear my own a few times a month! I love my subscription to Owl Crate. 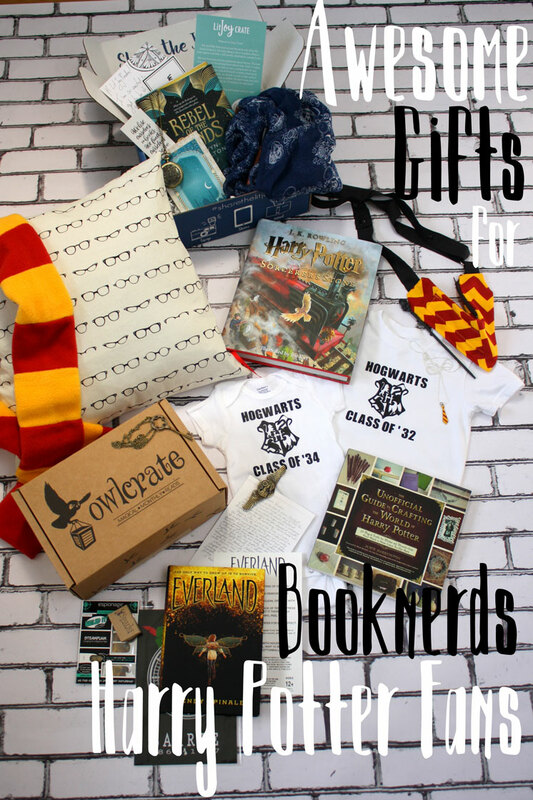 If you’re not familiar it’s a bookish subscription box. 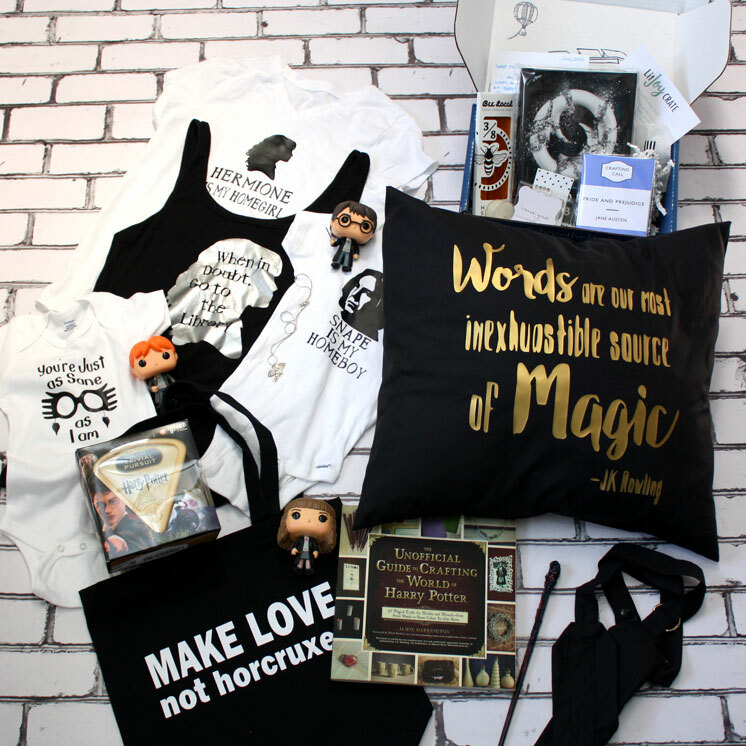 Every month a box arrives on your door step filled with a new release novel and a bunch of related bookish goodies. If you look at the pictures where you see the Owl Crate box all the stuff under and on it came in my “steampunk” box a couple months ago. It’s SO much fun in fact it’s so much fun my sister and I (we both subscribe) have taken to live unboxing our Owl Crates together. See us unboxing our “Royal” Boxes from last month and you’ll be able to see what kind of goodies they send! 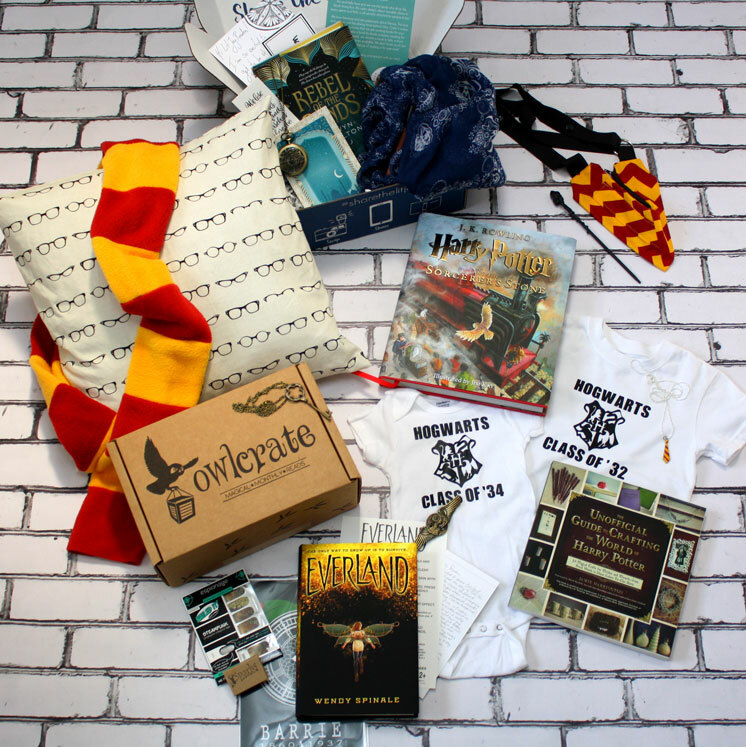 If you’re looking for a fabulous gift for a young adult book lover a Subscription to Owl Crate would be a total hit!. Follow Owl Crate on Instagram. 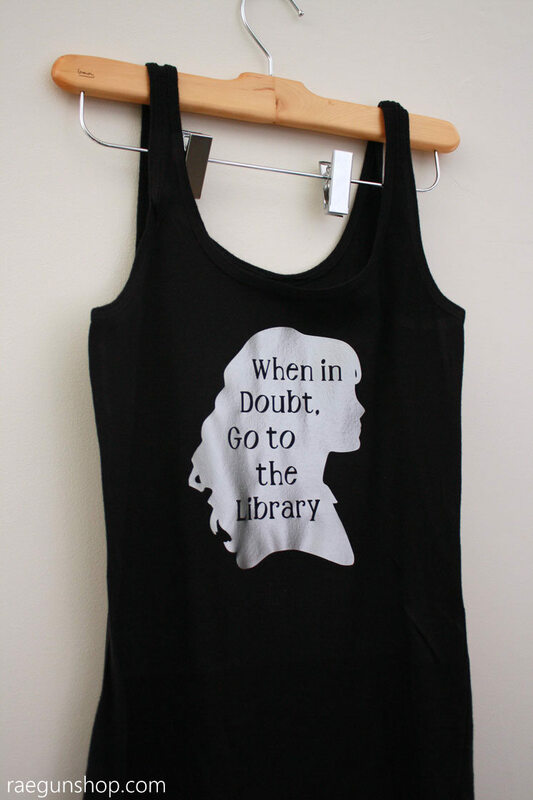 Know what else you Potterheads need? 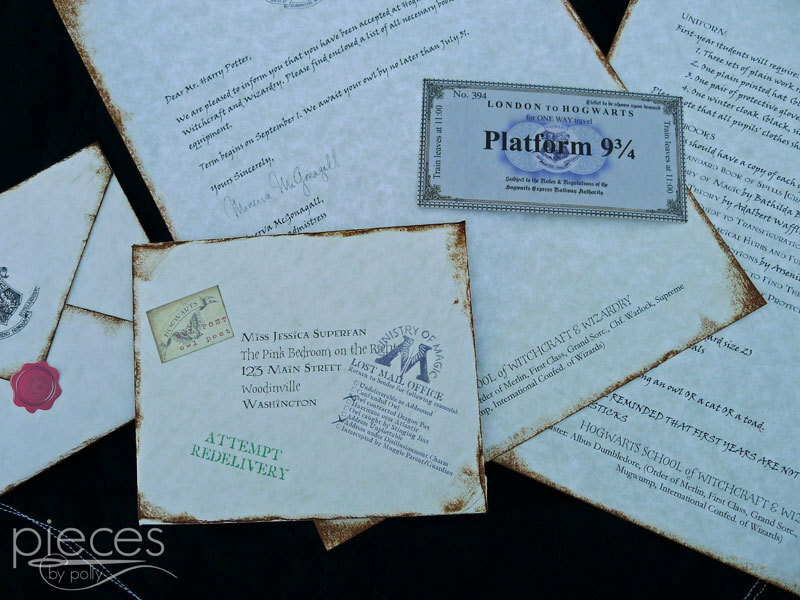 A personalized Hogwarts Acceptance Letter. Oh yes they do exist! 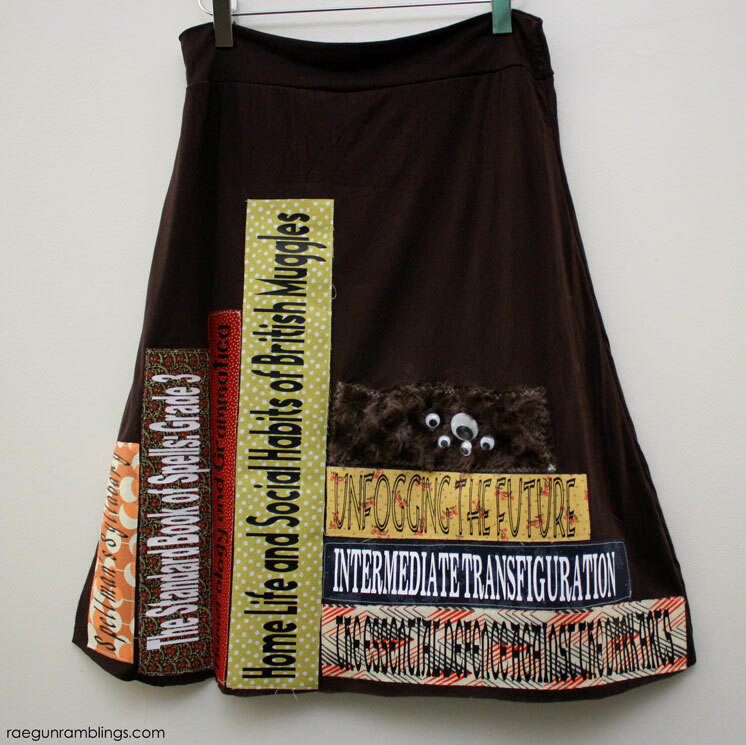 I have one for Teddy and it’s so awesome and sweet and fantastically geeky. 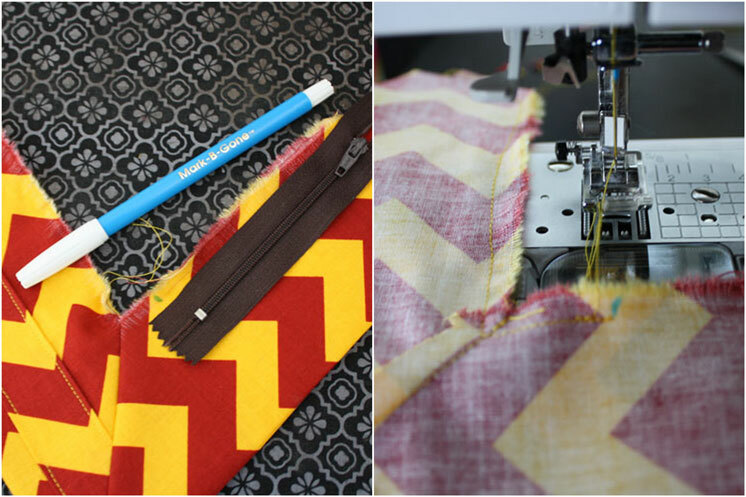 This is such a fun gift idea but also a really sweet memento or photo prop. We used Teddy’s in his Teddy Potter pictures from a few years ago. So fun right? Let’s be honest what a book lover really wants is time to read and short of baby sitting (although that would be a great gift idea) a cozy reading spot might just make things happen. 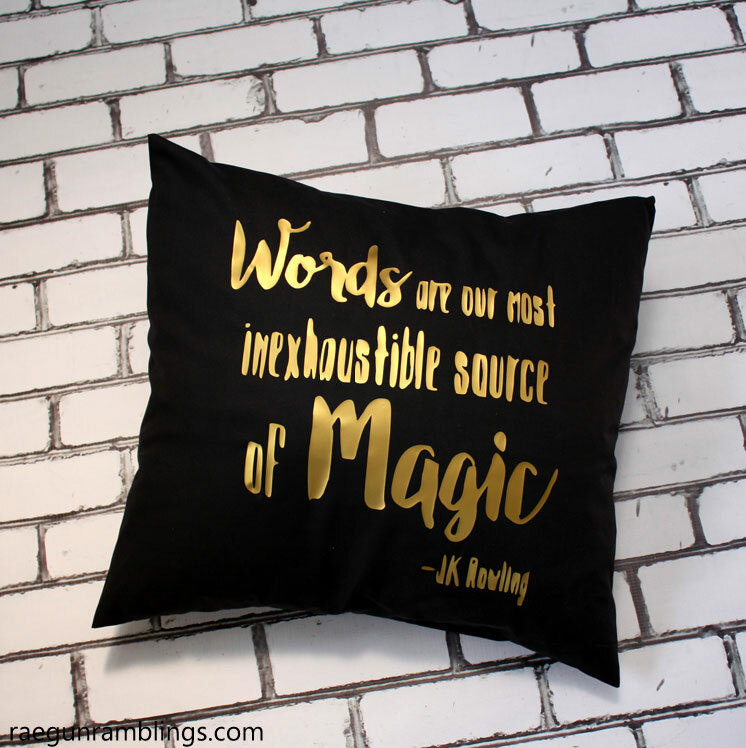 How fun are these awesome book nerd pillows? 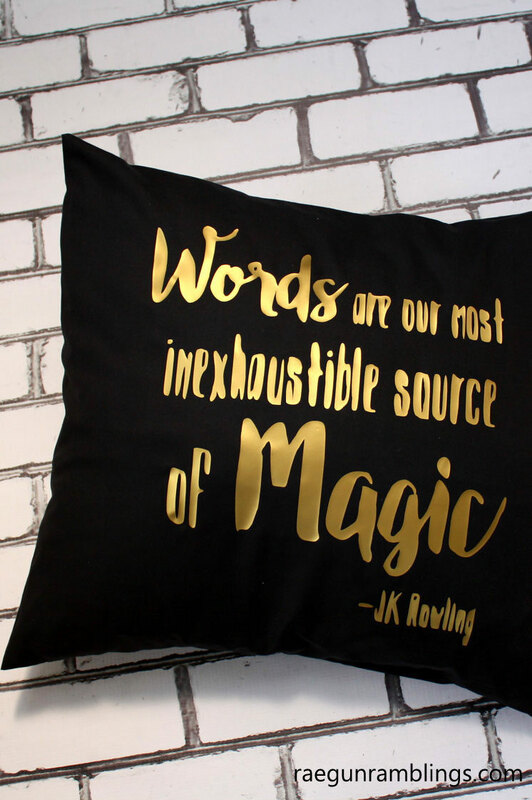 Nothing says bliss like curling up with a great book and a fun pillow. 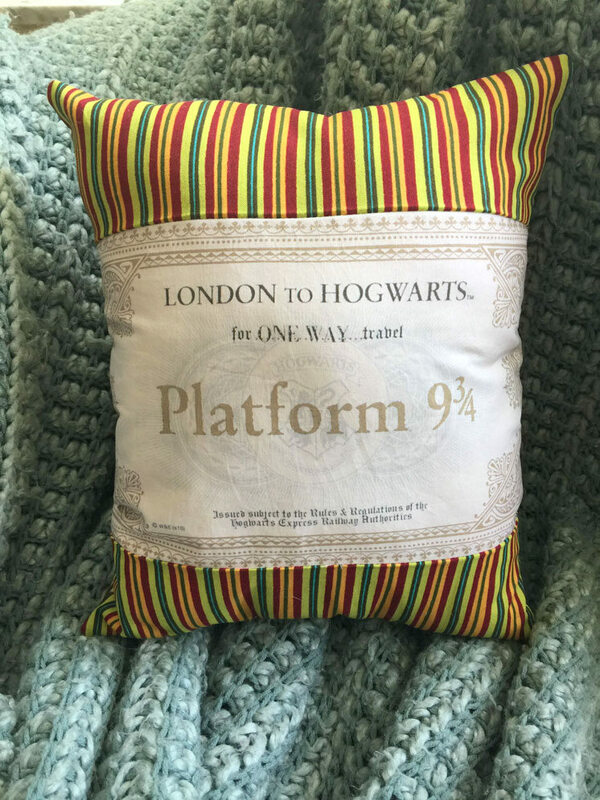 Each prize pack contains one awesome pillow. 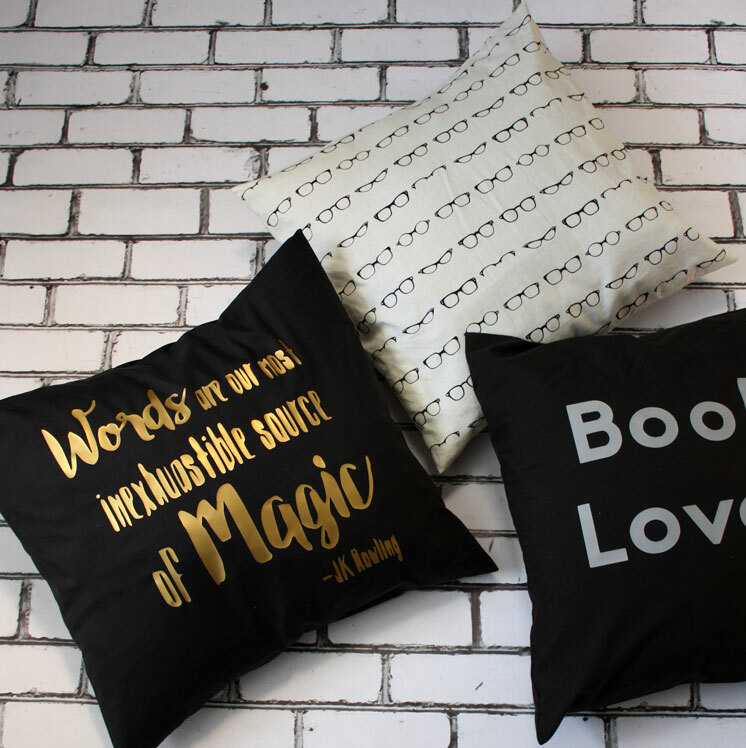 One lucky person will get the fun Librarian Glasses Pillow and the other winner will receive the Words are Magic J.K. Rowing Quote Pillow! 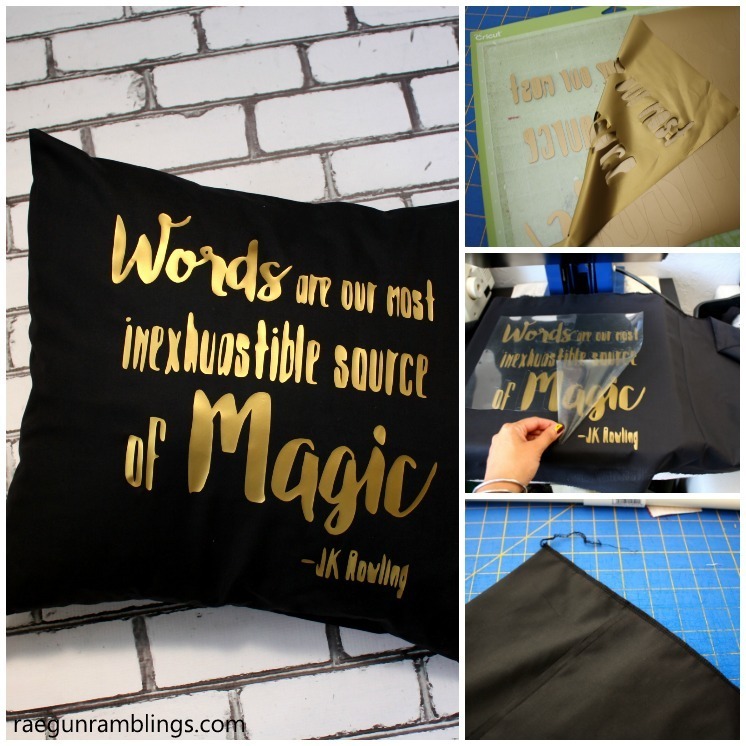 I made the pillowcases and the awesome folk at Fairfield World provided the pillow forms! 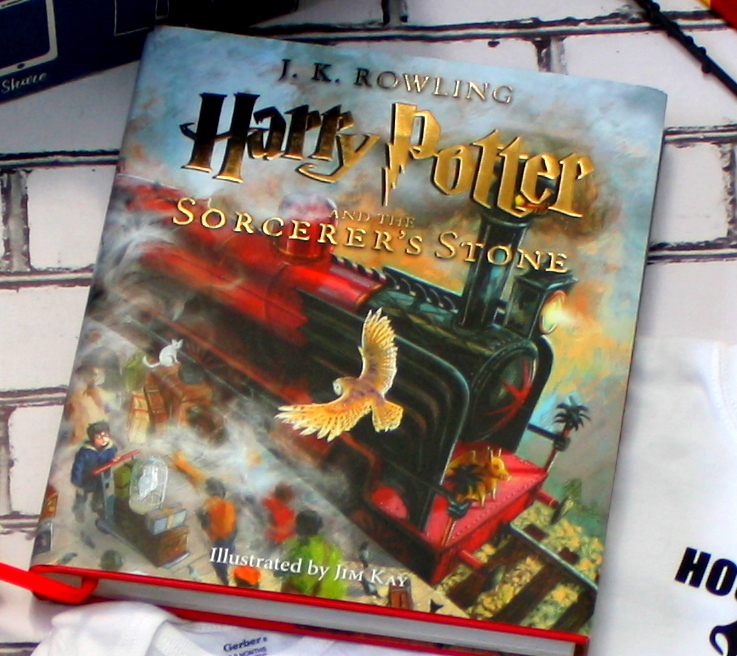 Have you seen the gorgeous illustrated editions of the Harry Potter books? Oh man I love them I can’t wait for all of the books to come out. They are so nice and big and they have the ribbon bookmark thing and they just feel special. 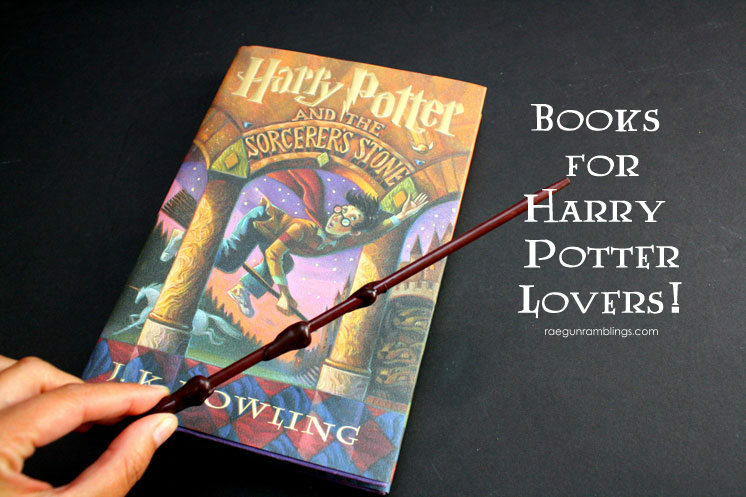 Your HP fan will for sure want this fun edition of the books! 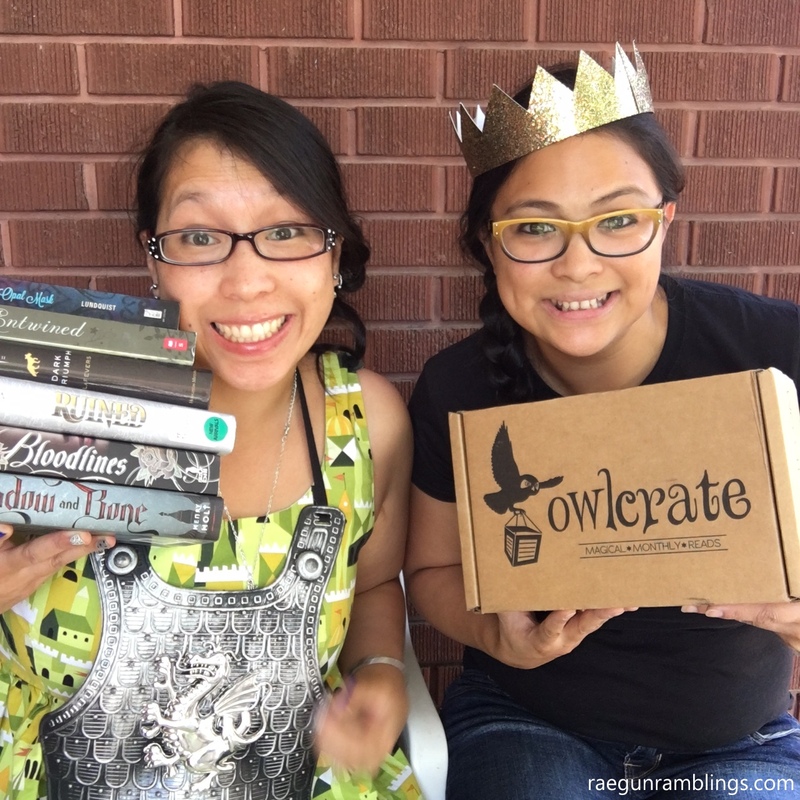 Next on the list is the Lit Joy Crate bookish box. This is another monthly subscription box and so far I have LOVEDDDDD everything I’ve received in my boxes from them. They have 3 fun options one is a new release YA book box, a picture book box, and a board book box. 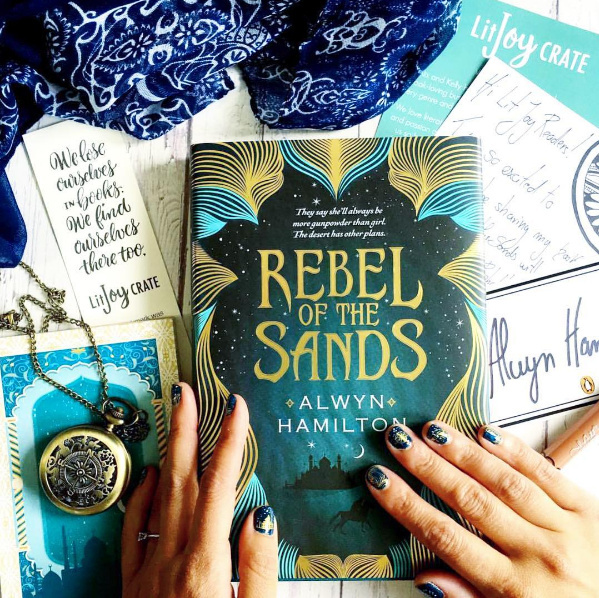 I’ve been able to check out several of their YA book boxes (see me unbox the May box here) as well as the board book box. Let me just say I love these girls’ tastes. 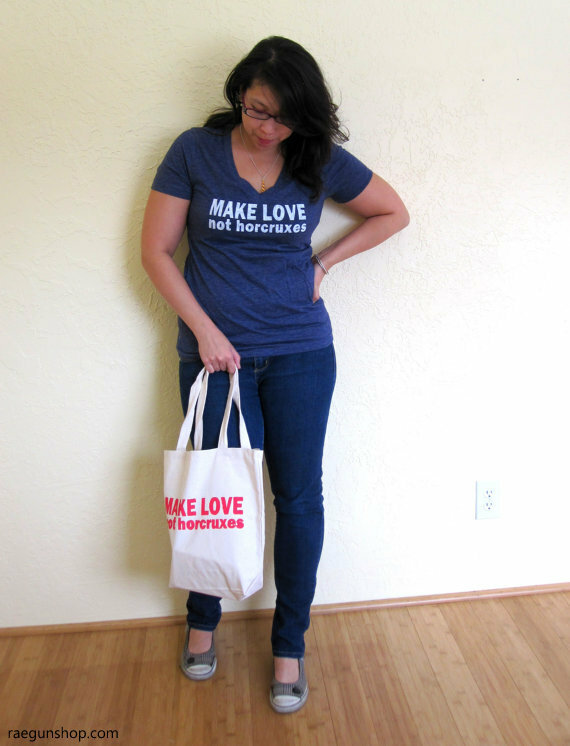 They pick fabulous books and the swag included is just my style. Each prize pack contains a box one winner will get the May box pictured above and one will get the June box (you can see that in prize pack #2 collage) Learn more about their different options and follow them on Instagram. 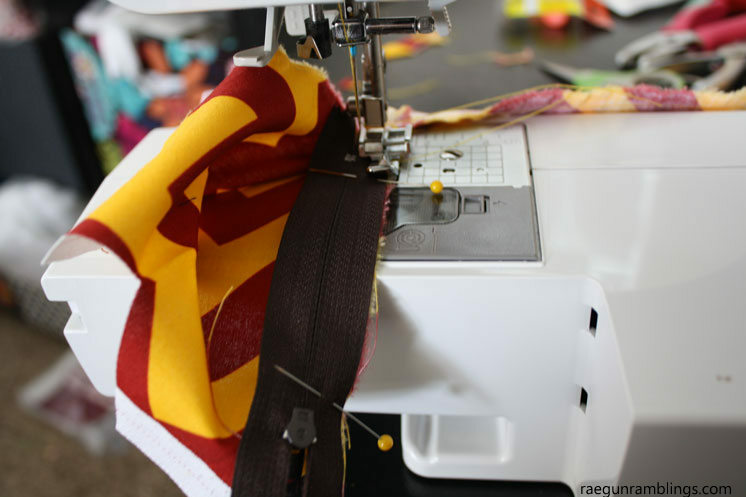 I have a weakness for bookish jewelry and my Gryffindor Tie Necklace is one of my all time favorites. 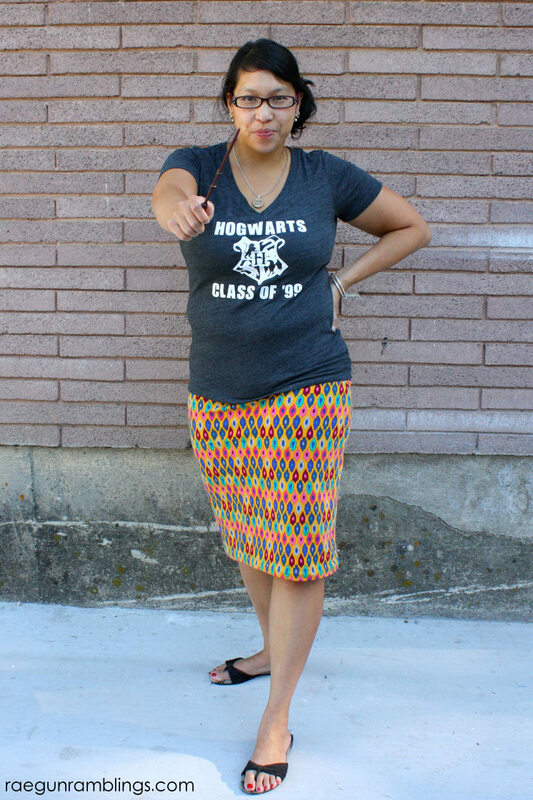 It’s so easy to wear and it’s subtle but still totally geeky that any fellow Harry Potter fans will recognize it a mile away. 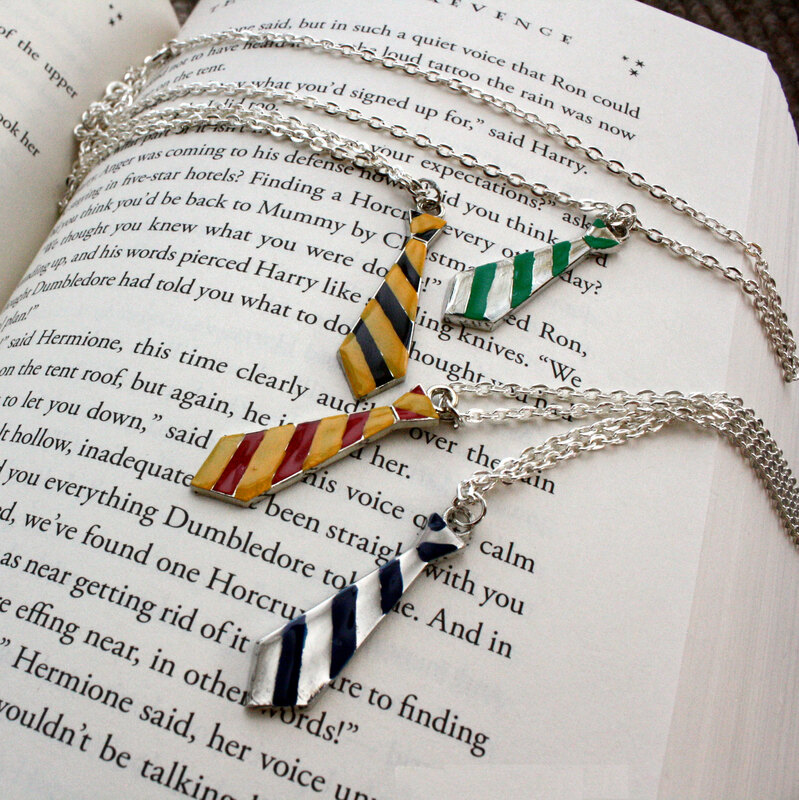 And if you’re not one of the brave the Hogwarts House neck tie necklace comes in Slytherin, Ravenclaw, and Hufflepuff colors as well! 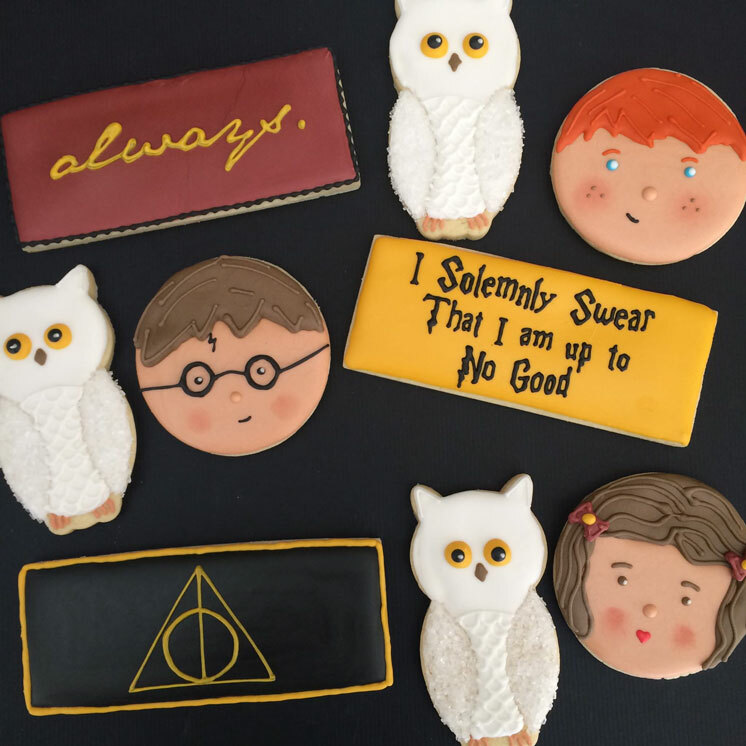 One very necessary component of a good reading time is a great treat and what better that these darling Harry Potter cookies from Sweet Jenny Belle Bakery. 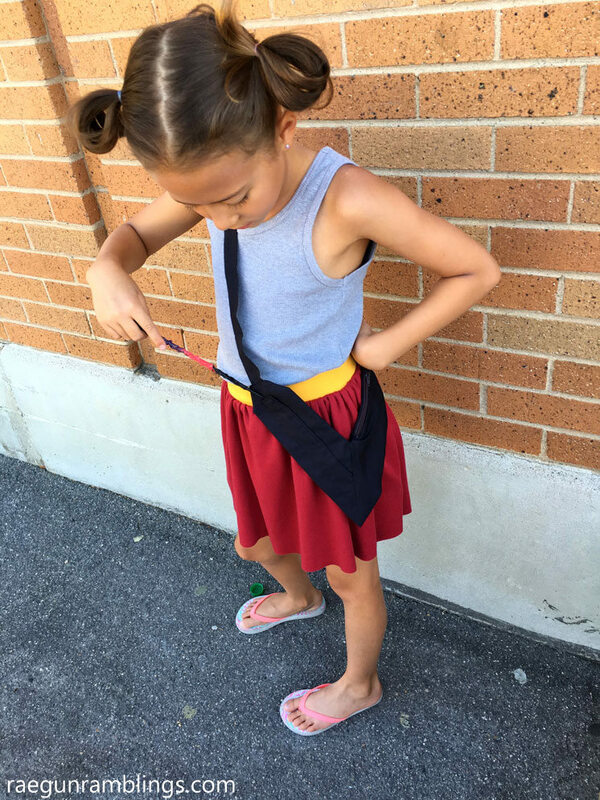 You might recognize her amazing work from Instagram! 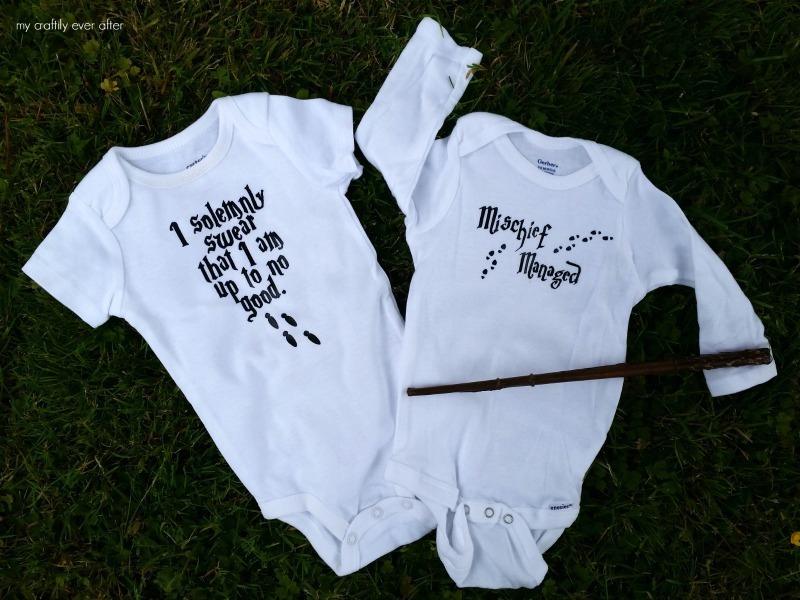 But yeah they are real and I just think they would be such a fun gift for your favorite Potterhead I mean look at them ahhhh have you seen anything cuter? 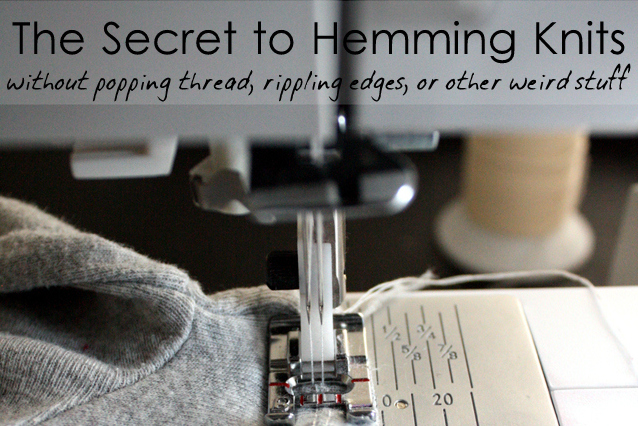 Check out her whole shop! 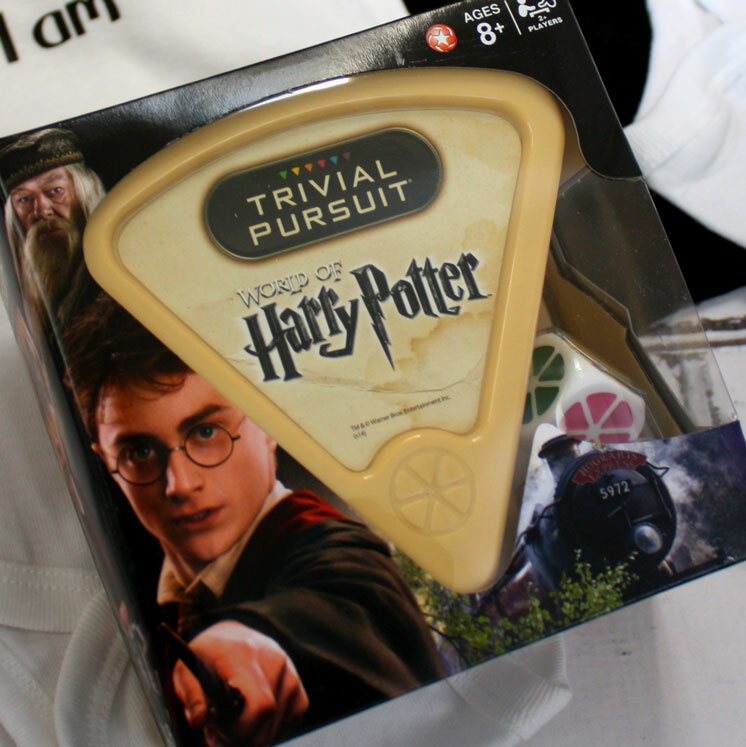 Prove you are the king or queen of all things Harry Potter with this fun compact World of Harry Potter Trivial Pursuit game. 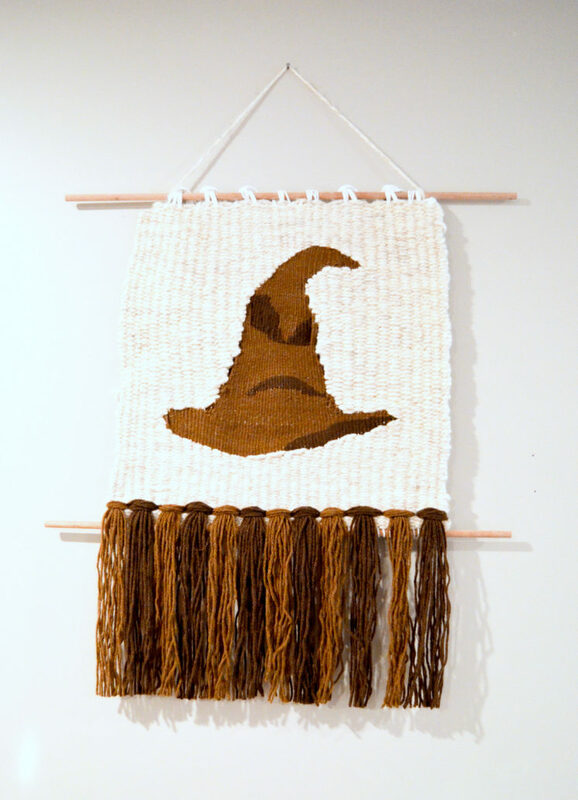 This would be a blast to play during a Harry Potter themed party or as they are called in our house Thursdays. But really how fun is this. I bought two one for the giveaway and one for me because I just couldn’t resist. Who wants to come over and play? 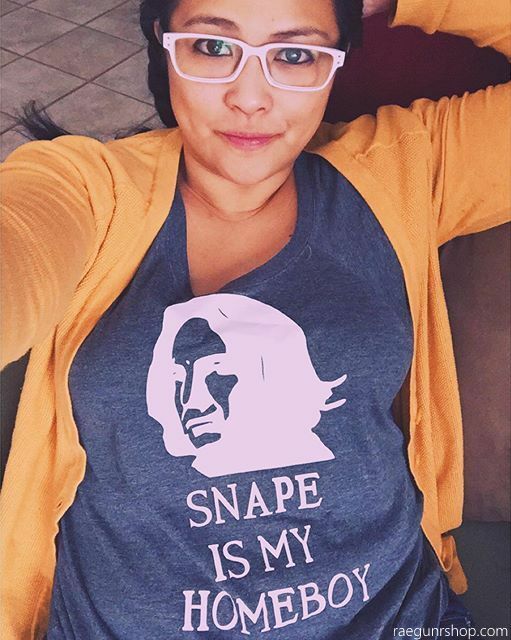 Be not so subtle with your love for Luna or whichever of J.K. Rowling’s wizards and witches is your favorite. 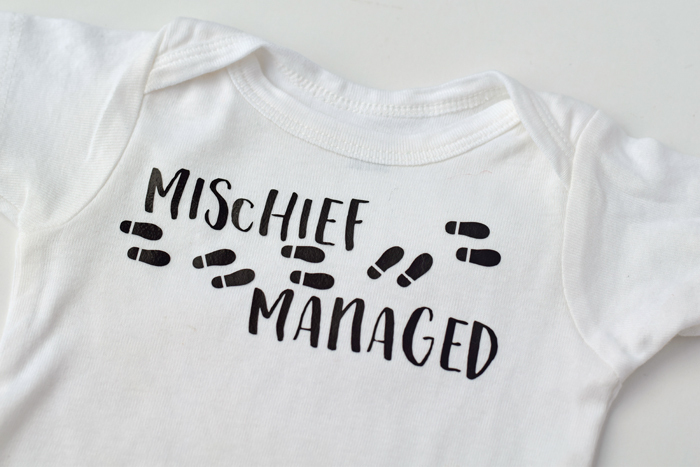 Wear your love for Hermione’s bookishness across your chest or bond with other Snape supporters by donning your little one in a Severus onesie. 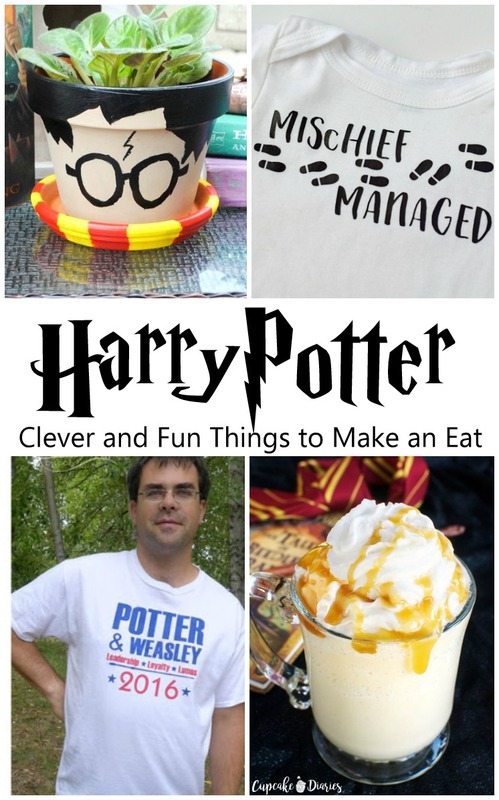 Something for everyone with these fun Harry Potter character Shirt! We can’t forget Hedwig now can we? 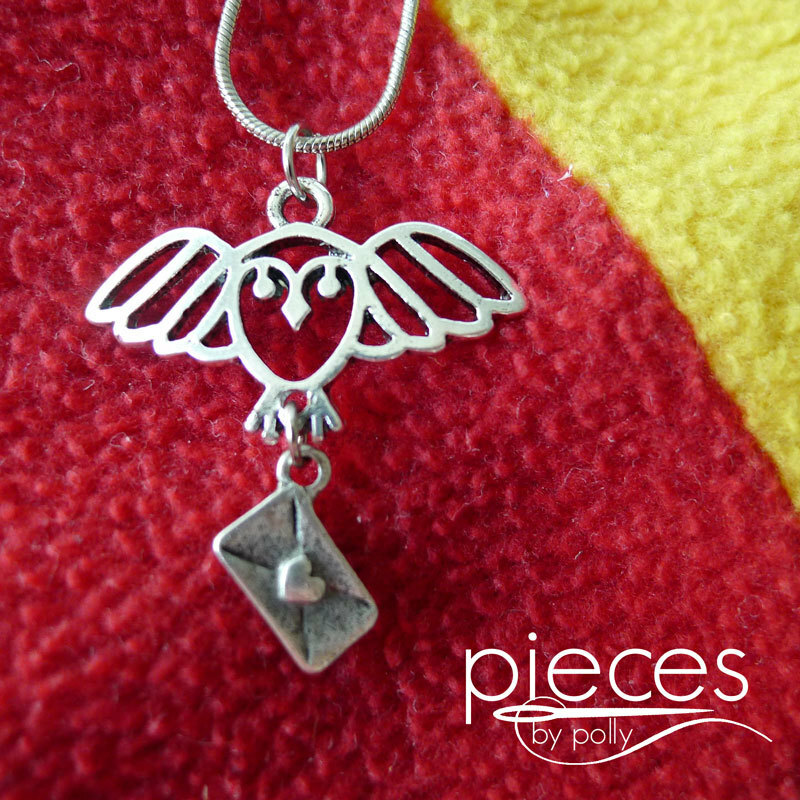 Honor our feathered friend with this delicate Hedwig Owl Post Necklace. I’ve had one for years and I love it. 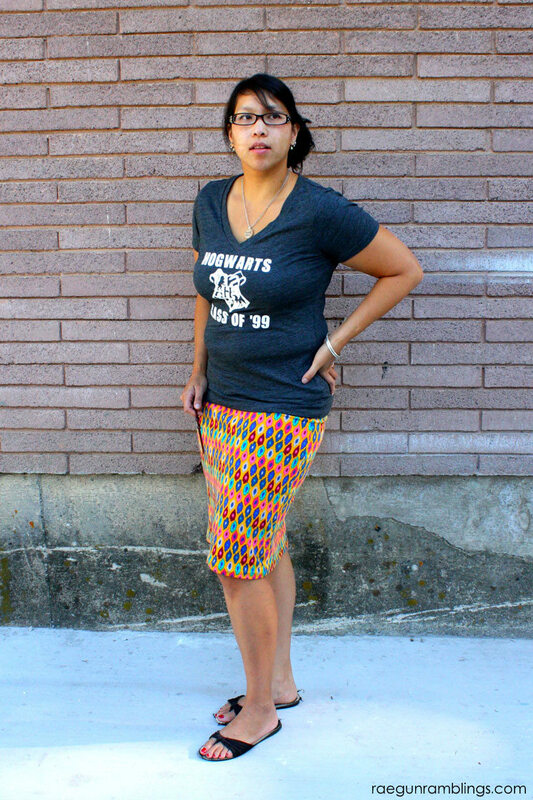 It’s so easy to wear and the silver goes with pretty much anything. 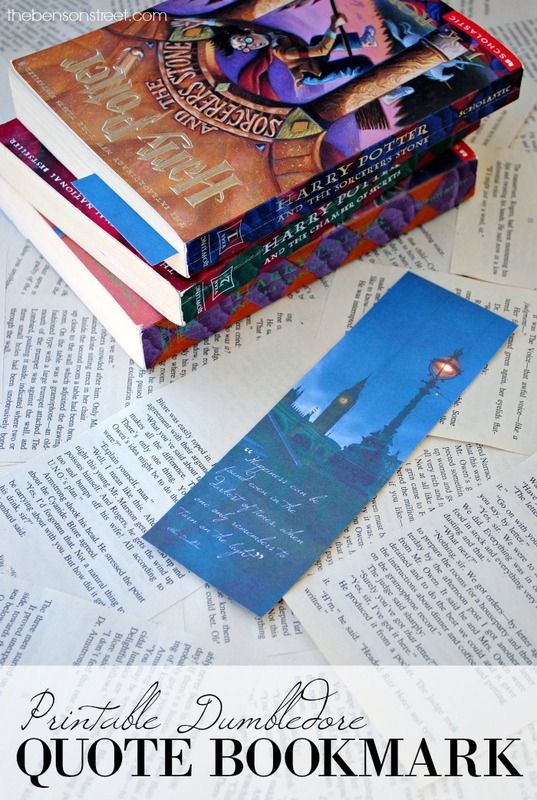 If you’re looking for a little trinket for your favorite book nerd this necklace would be perfect. 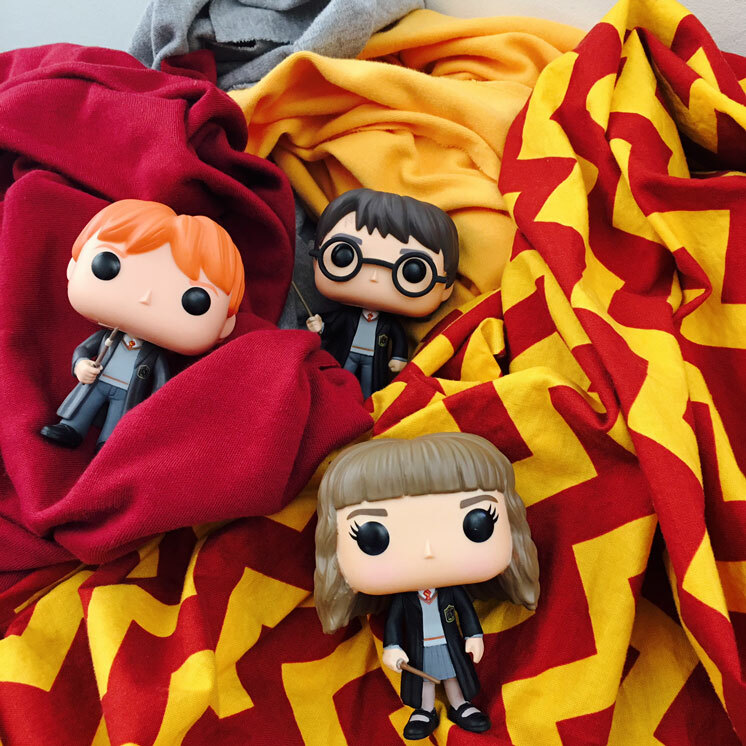 I can’t get enough of all the freakishly cute big head Harry Potter Funko Pop figures. 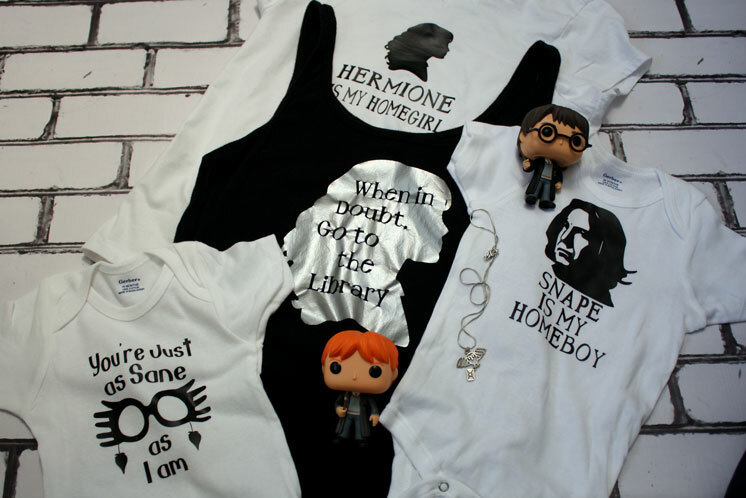 I NEED them all. Like really need them. They are all so cute and they have tons of the side charactes and they keep on adding more. 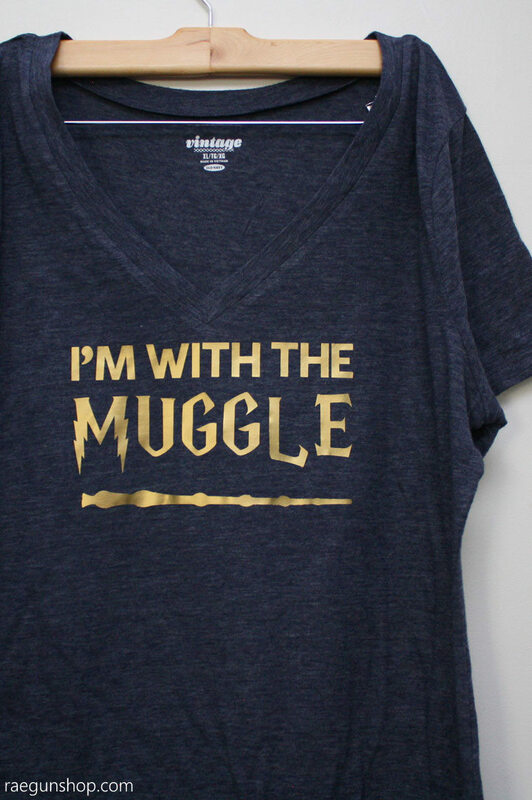 I want Neville so so so bad. I want all of them really. 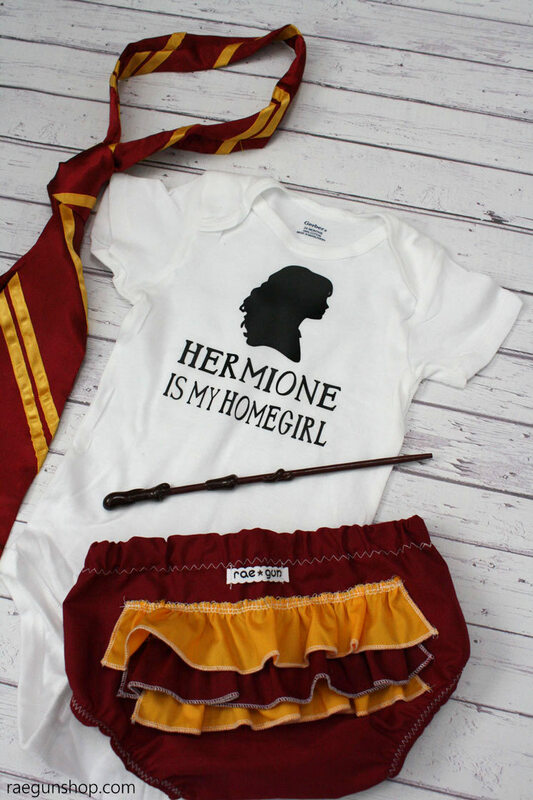 Oh I already said that but really this is such a fun and easy gift idea and every time your little Potter loving pal looks at her funkos she’s smile. I know I do! 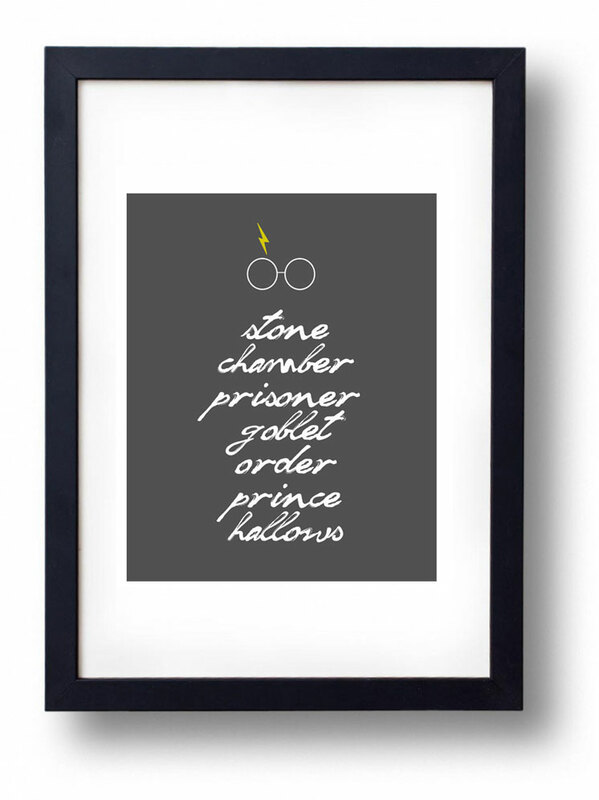 Every Harry Potter fan deserves an awesome Harry Potter Art Print. I love this one from Have A Laugh. But there are other great ones too. 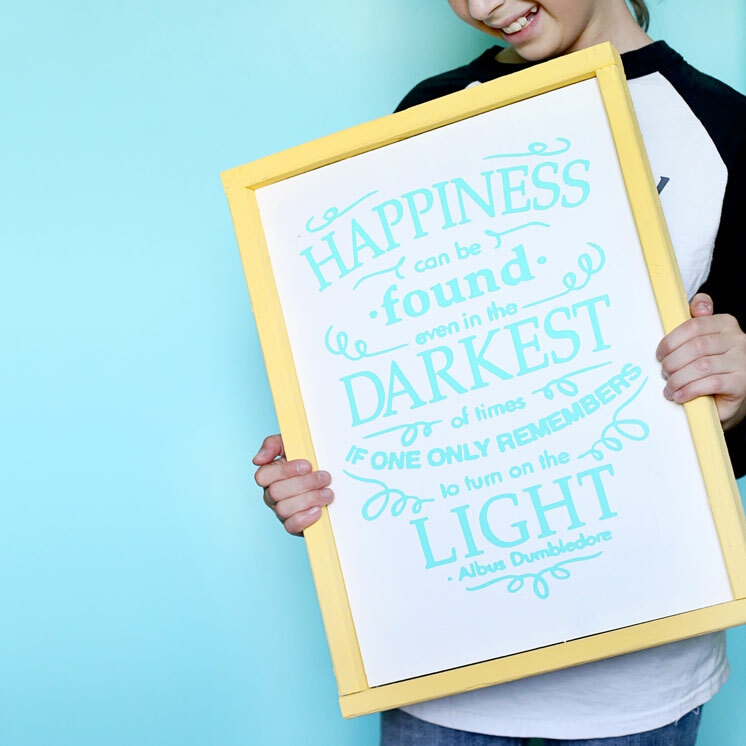 Grab an inexpensive frame and pop the print in and you’ve got a super thoughtful and unique present. 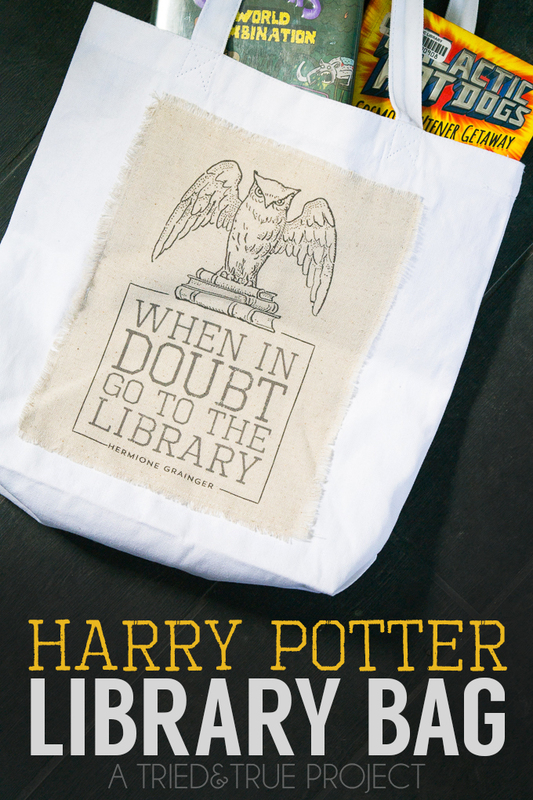 Because I know you need something to carry your library haul home in the last item on my Harry Potter must haves list is a Harry Potter Book Bag. 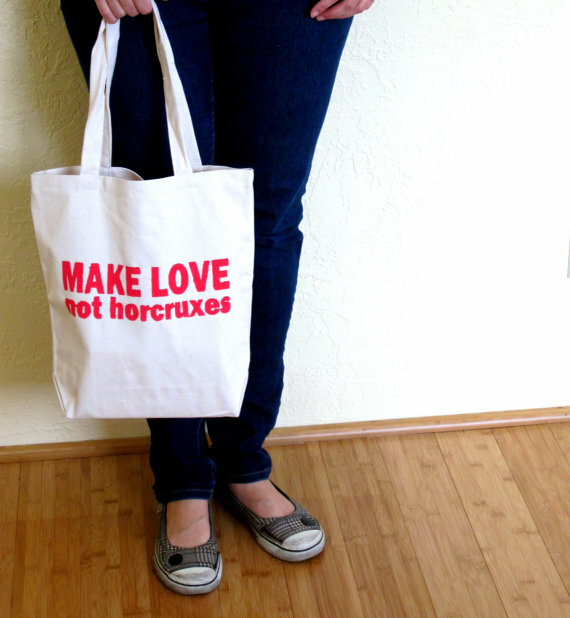 My personal favorite is this sassy Make Love Not Horcruxes Book Bag but you might also love this Accio Books bag! Okay now go enter the giveaways!! !